The ordeal of Syrian civilians appears to be endless. The advance of the militias of Hayat Tahrir al Sham (HTS), a group affiliated to al-Qaeda, in the citadel of al-Atareb, in the Aleppo province, opens up a new, disturbing scenario. Roughly sixty thousand people live in the area, many of them displaced from other cities. In recent days, the militia bombed al-Atareb, which was under the control of the last pockets of resistance, the opposition forces, as well as being one of the first cities to have declared itself independent of the regime in 2012. In this town, civilians had organised themselves into committees for self-government. The HTS has surrounded the city, succeeding in easily advancing in an area where the forces of the National Liberation Front (NLF), a military opposition group supported by Turkey, are in the minority. According to the agreements signed by Turkey, Russia and Iran last September in Sochi, Ankara would have the task of curbing the terrorist militias of the north-west of Syria, supporting the military actions of the NLF, but the resounding advance of HTS at al-Atareb, just like at Darat Izza, simply reinforces the many perplexities regarding its implementation expressed by many parties. Al-Atareb is seen as an important conquest to many because it is in a highly strategic area, both from the logistic and economic point of view, because here one finds the main route of connection between Aleppo and the Bab Al Hawa pass (the only official border crossing with Turkey). The terrorists immediately disseminated a list with the names of about two hundred matlubin, a “wanted” list, that included many women, all active in the self-government committees and protagonists of the revolts against both the regime and ISIS. Among them we also find the eighty-year-old Hajja Hamra Akush, known as “the mother of the opponents”, a woman known to everyone and whose home had served as a safe house for military deserters who refused to fight against their fellow countrymen. Civilian sources report executions, kidnappings and violence, in addition to the closure of all schools. Concerning public health, the situation is dire; there is a lack of medicine and the few remaining medical staff is unable to provide for the needs of the entire population. The particularly harsh winter only aggravates the situation. Al-Atareb is one of the most emblematic examples of the way in which the moderate opposition, made up of civilians, women and men, who only sought a different Syria, without a regime and without extremists, were left entirely to their own devices, abandoned and at the mercy of the countless forces on the field. The fear of civilians in the area now is that the presence of the terrorists in al-Atareb is going to be used as a pretext to justify a new wave of joint Russian-Syrian regime bombing. According to civilian sources, more than seven hundred people have been killed in the city in recent years. No one can tell just how much more blood has to be shed by civilians before their lives become the priority in international negotiations. 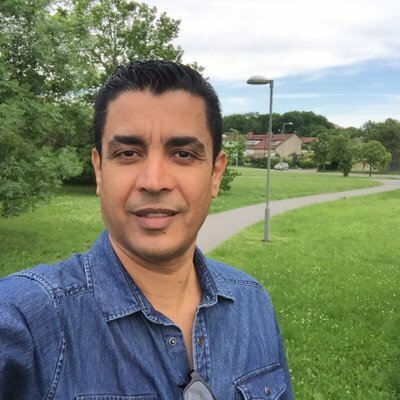 Written by Labib Nahhas: Rather than luxury, ambition or idealism we have to understand undoubtedly that there is no other option left in front of us. Russia has taken all necessary military steps to impose a new political reality in Syria, and has established political tracks alternative to the Geneva process, arriving at the Sochi Conference, which resulted in the idea of the so-called Constitutional Commission, through which the Russians plan to obtain the legitimacy of “the opposition” and its joining in a political process that ensures the continuation of the Syrian regime (and perhaps Bashar himself) and gives the green light to the international community to open the door for the reconstruction in Syria and the flow of funds for this purpose, to be equal to a reward for the regime for its criminality and success of the Russian project in Syria in a conclusive way. Then, if Syria is without big economic and financial support it will remain a ‘failed state” threatened by a new explosion under the influence and corruption of the Assad regime and Iranian intervention and its penetration of the heart of Syrian society. For the knowledge: The cost of the reconstruction in Syria is estimated at between $ 250 billion to about $ 1 trillion; the regime does not possess from it any proportion and Russia is not able to contribute in it. Even those countries that support Russian military action in Syria in secret will only be able to support the reconstruction process with an international green light and existence of a political solution with Syrian and international legitimacy. There is a fundamental problem in the existence and composition of the political “opposition” and the parties that run the political process and the so-called negotiating process in the name of the revolution: most of these are not revolutionaries at all, but traditional opponents at best under the cover of a fancying reality and they are incapable of acting (or even imagining) outside the frame of regional and international understandings (no matter how fragile). They never understood the true meaning of being a revolutionary for the sake of freedom and dignity against a criminal regime. They were engulfed in the concepts of “realism” and political “experience”, and became part of a system that they supposedly rebelled against one day, because it deprived them and their people of their rights and freedom (we don’t mean the Assad regime). We have to ask and answer with all frankness and clarity: What is the constitution that will be written under the auspices of the Russian occupier?! What is the reference and legitimacy of the names that are presented as political “opposition”, and how have they been reached (to clarify: the satisfaction of the regional and international parties about persons or their performance does not give legitimacy)? What is the experience of these names in writing constitutions? In the name of whom this “opposition” negotiates? What are the papers of this “opposition” to negotiate in accordance with its current structure and its relationship with the interior (or lack thereof) and its defeatist speech? Do these “politicians” have a clear road map of milestones and results for what they are doing? Do they tell their people what is happening? The most important question: Do they really think that this path will lead to the writing of a constitution that protects the rights of the Syrians and weakens the powers and authorities of the regime! And provides a safe environment for the return of the displaced and the preservation of their property! But more importantly: who will force the regime to implement this presumed constitution! Is there among these “opponents” (with the exception of the hired ones) whomever will be safe to go to Damascus to work within the future government of Assad and under the supervision of his security services? (3) The logic of these “politicians” depends on two basic ideas: First, what is happening in Syria is an international and regional agreement, and political “experience” and “realism” require identification with this agreement. The second point is that we have no choice but to follow the path of the Constitutional Commission, and those who do not like this path: “Let him suggest another option!! !” Of course, the previous speech is based on big fallacies and miserable logic and refuted, and lacks the minimum degrees of desire for change and revolutionary spirit. As for this international and regional agreement that is dealt with as sure, unavoidable destiny; what must be understood is that the international and regional community has not yet reached a final solution or agreement on Syria (although there is – at present – greater acceptance of the continuation of the regime in some form with cosmetic modifications considering the absence of a real, acceptable alternative.) However, the complexity of the Syrian issue has made the countries behave differently with different allies according to each region of Syria, and in general, we are still far from the comprehensive solution. But the Russian political momentum on the ground and in diplomatic corridors began to bear fruit, especially in the absence of any effective and counter political activity by the revolution. Even if there was an international tendency towards a solution or concept against our interest as revolution and Syrians, the least we can do is to refuse and say “no” and, most importantly, to strive to impose a reality on the ground, militarily and socially (and this is of highest importance) hindering any solution that does not achieve our minimum interests. The “international decision” regarding the speech and mentality of the political upheaval about the revolution has changed into a self-fulfilling prophecy, into a pretext for their failure and inability to perform or deliver anything outside the bureaucratic routine of their work of attending meetings and conferences and then marketing what they are doing and justifying and suppressing those who disagree. However the reality is opposite to what they think, and the new reality that we need as Syrians and revolution is possible despite its extreme difficulty, but it needs hard work and great sacrifices, and breaking into fields outside their “comfort zone” and this is what they do not want to do. (4) As for the alternative to the “Constitutional Committee”: I did not hear of someone who was offered poison then drank it voluntarily, rather exhausted himself in drinking it and justify that in front of people, rather he calls them to it! The alternative exists and is available but is not ready and requires work by everyone because there is no other option. The alternative is to cling to the Liberated Land in the Syrian north under a unified civil authority and a revolutionary army, in which the factions will dissolve permanently as the only option to continue, and to strive to build the military, political and popular environment necessary for the success of the project, and develop the patch of this project in the near future to include the east of Syria completely within a regional-international frame that preserves the minimum of our interests as Syrians and takes into account the interests of the countries closest to us. Our speech must be absolute rejection of any process collaborative with the criminal regime and the occupation forces, because we as Syrians reject the foreign occupation and refuse to be under the rule of a collaborator regime that brought the occupation forces and committed war crimes against our people, because we cannot live under the authority of these criminals preserving our lives and the lives of our people and the next generations. If millions of Syrians inside and outside Syria need a safe haven where they can live in freedom and dignity, enjoying their full rights as citizens and human beings, this will not be achieved under the rule of the Russian-Iranian occupation and their lackey the Assad regime. 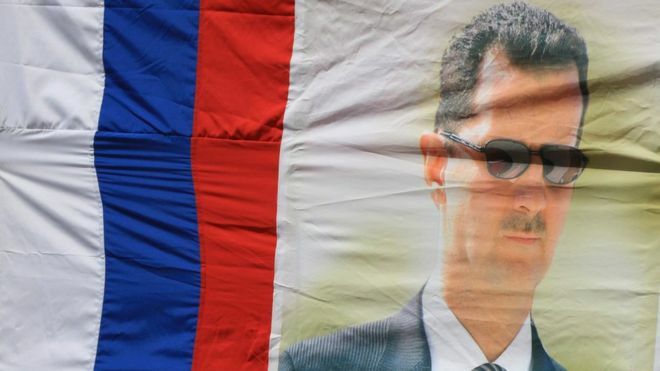 Syria is divided – for those who did not realize that yet – and the Russian and Iranian occupation forces created their own spheres of influence and gave the Assad regime a “useful Syria” homogeneous socially and politically according to their perception. Our goal in the near future is to create a safe haven for Syrians in Syria outside the regime and occupation control, and starting from these areas through military, security, political and popular work to build a new model and reunite Syria. (5) This regional-international framework that we need in the north and east of Syria depends mainly on the return of the Turkish-American relations and the attaining of agreement regarding its minimum borders between the two sides on the Syrian file in general and northern and eastern Syria in particular, which is a crucial semi-decisive matter in dismantling the Astana-Sochi system, that carries the largest part of the calamities we are living today (without ignoring the evil of the dealing and handling of the factions and political “opposition” with it). There is no doubt that the Western policy toward Turkey in recent years has played a major role in the induction of the change – maybe historical – in the context of Turkey’s foreign relations. However, this change is not permanent, and the Turkish side knows well that Russia is not a party to build a long-term alliance with (and there is a long history confirming that) especially since the experience of recent years proved that the commitment of the Russians to the agreements is very low, and Turkey knows that Russia will gradually squeeze it in a narrow corner after stripping it from as much of its papers in Syria as it can to force it to accept a comic solution that does not realize its ambitions. Turkey has been and remains the most important ally of the revolution, the strategic depth of the Syrians, as Syria is Turkey’s strategic depth, geopolitically, demographically and economically. Now, more than ever before, and despite the difficulty, the revolution must rebuild the relationship with Turkey on the basis of common interests (which are many) and through a long-term perspective. Turkey is living under a great threat, internally and externally, and in fact does not have a true ally to rely on from the regional or international powers (with which a relationship of competition and cold war prevails), and here comes the role of the emergence of a revolutionary political-military leadership with real legitimacy emanating from the real strategic depth of the revolution, the Syrian interior, capable of presenting various bold visions based on real common interests with Turkey and, most importantly, providing the tools capable of implementing these visions and proposals. (6) The realization of a safe haven (homeland) for free Syrians within Syria including the north and east of the country will have acceptance at regional and international parties (and there are movements on the ground in this direction) if posed in the right context and provided the tools necessary to achieve it, and the most important from that is that it is suggested by a Syrian party possessing credibility and legitimacy. It is a must to stop talking in the language of humanity and international law, and speak in the language of interests and in the name of the real will of the people, and what this people really wants and what realizes their interests. The preservation of the lives and dignity of civilians is not achieved through processes of reconciliation with the criminal regime with Russian guaranty, nor with surrender of heavy weapons, nor keeping civilians at the mercy of a regime that has proved to be closer to animals in its conduct. Saving civilians is with ensuring a safe haven and safe environment for them. And it is a must that it is the goal of the revolution in the next phase. 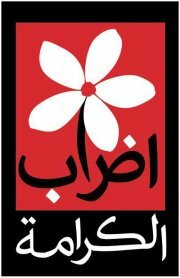 It is a must to impose a new reality within Syria, and building regional and international support in any way possible. The negotiating bodies that have spearheaded the political revolution do not possess any ability in negotiating and have been made heavy with sticky gelatinous individuals looking for their own role and personal interest. The time has come to overthrow these figures or the entire bodies. The Revolution is in need of categorizing new leaderships and open the way for the real “generation of the revolution”, and collect the military, political and popular capital of the revolution in one project and one front, even if this requires the execution of a revolution within the revolution itself, because most of the current “leadership” individuals are no longer susceptive to reform or development, and the revolutionary bodies need to be re-produced within new frameworks radically different from what preceded. Some will say that this is an impossible project or that previous attempts to achieve it have not worked, but we have to understand undoubtedly that there is no other option left in front of us, and that achieving this solution is a matter of existential necessity rather than luxury, ambition or idealism. It is impossible to continue with divided factions and straying political leaderships that are unable to carry out the present duty. Owners of personal or factional projects need to realize that even the success of their projects requires the success of the greater project of the revolution. It is a must to freeze the participation of any party representing the revolution (or claiming to do so) in the trajectory of the “Constitutional Committee” and all efforts must be focused on a new speech and vision and real project that will serve the country and its people instead of running behind the mirage in a scene in which Syria is destroyed. 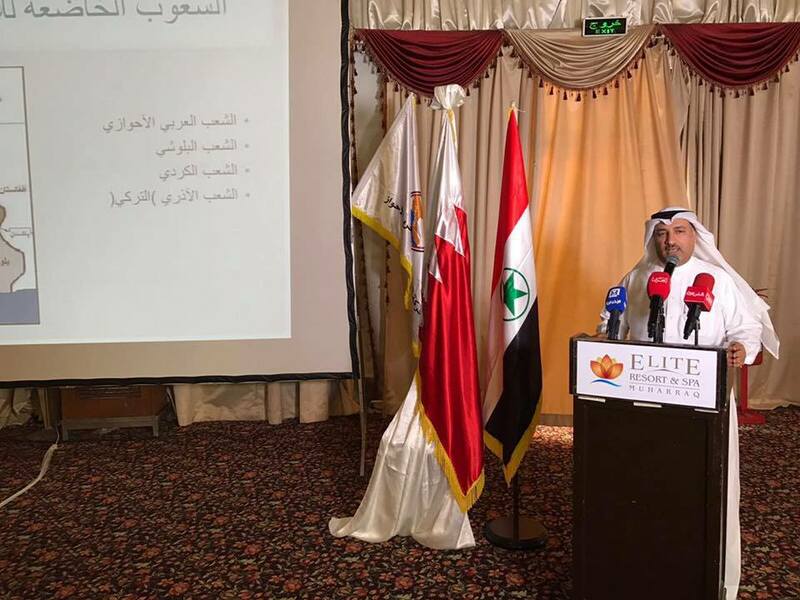 The Arab European Foundation for International Relations (EISO) on Saturday held a symposium entitled “The Implications of the Arab-Iranian Conflict on the Ahwazi Issue” on August 26, in light of the Arab-Persian conflict. Hamid Mansour, the member of the Executive Committee of the Arab Struggle Movement for the Liberation of Ahwaz, has given the opening speech of the symposium, where he proclaimed the launch of the Arab-European Foundation for International Relations “AEFIR. It will be of significant role in media, politics, and culture. A host of Ahwazi youth who is interested in the Ahwazi plight witnessed AEFIR’s launch. In his speech, he pointed to the weak Arab influence in the Western society, which has the upper hand in the world today, noting that this allowed the opponents to be alone in the arena of influential work. They managed to create a distorted stereotype in the minds of Western public opinion due to their strong political and media presence, to be the sole basis for interpreting the reality of the political conflict in the Arab region, which in the end results in shaping an unfair Western opinion of the just Arab causes. He stressed the important role played by NGOs and public relations centers in rectifying the way through which civil and official institutions in the West look on just Arab causes, as well as building inter-relations and developing them among peoples to achieve common interests. Mansur pointed out that the AEFIR will pay great attention to filling the vacuum and building relations in order to mobilize for international cooperation on the Ahwazi question and the other just Arab causes. He called for developing and renewing the discourse, especially that the contemporary world does not tackle such issues in terms of values of justice and ideals. Interest is the foremost criterion. For it, armies are mobilized, positions are adopted, and leaders are unseated. He indicated that the most important objective of the institution is to correct the image of Arabs without begging. He pointed out that Arab issues are indivisible, and the Ahwazi plight is an integral part thereof. He stressed that the Arab interest necessitates broadening the scope of the issue’s perspective in order to make it stronger by avoiding partial solutions that only emphasize weakness and powerlessness. He said that the foundation seeks to present the Ahwazi issue as a just Arab and humanitarian cause. It seeks to manifest its national dimension, not only the political and historical aspects. AEFIR yet plans to render clear the strategic importance of the Ahwazi plight for the other Arab questions. Also, the newborn Foundation aims to explain to the whole world how settling the Ahwazi issue will be of significant importance for stability in the region and enhancing global peace and security. According to the lecturers, the foundation shall reiterate that ditching the Ahwazi cause will show the world how Arabs are ready to concede their rights. Dr. Saad Eddin Ibrahim, director of the Ibn Khaldun Center for Development Studies, in his lecture entitled “Methods of Conflict Management in the Middle East” said that the Iran is a challenge to the Arab region. He indicated that it is not a threat. According to him, a threat is a thing that comes from outside such as Israel. The Iranian threat is part of the region. He noted that Iran acted as the policeman of the Gulf since its last monarch Shah Mohammed Reza Pahlavi, with the blessing of the US. He pointed out Jimmy Carter said from Tehran that Washington welcomes Iran’s role as a policeman to maintain the security of the Gulf. He considered that justice as a value is one of the main demands of all peoples of the world, stressing that the demands of the people of Ahwaz are an integral part of all the demands and slogans that united the whole world, such as values of freedom and democracy. He explained that Ahwaz had been isolated from its Arab sphere and given to the shah in return for an agreement that would enable Britain to search for oil on the eastern shore of the Gulf. This was part of the Sykes-Picot agreement and others. He said that this ambition could be stopped by awareness, coordination, and solidarity among all local factions to face up to the expansionist Persian hegemony. He argued that this expansionist desire will not be halted by changing the regime there, history tells us so. It is a deep-rooted orientation in the Persian mindset. He noted that the absence of the Egyptian role over the past two decades enabled Iran to spill over its influence into at least five Arab countries. It began to exploit the rampant poverty in some African countries to infiltrate the east coast of Africa in an attempt to besiege the Kingdom (of Saudi Arabia) and Egypt. He pointed out that the Persians are the inventors of chess, a game through which you can defeat your rival using his papers, and this is what is happening now that the Iran exploits any popular base in the Arab countries as a launch pad for spillover. He pointed out that Iran has started to play on the heartstrings of those who have a love for Ahlul Bait, Prophet Mohammed’s family. This issue attracts many sympathizers in Egypt. For those people, Iran offers money and other forms of aid. It helps them build their institutions. These establishments promote Shiism in its essence. Ibrahim called for the need to cooperate to create rational public awareness without hostility or hatred against anyone, including the Iranians themselves, as the Persians Iranians make up only 40%, of the Iranian people and the rest are groups of different ethnicities, pointing out that the Persians are the strongest group and they managed to prevail over the rest of the people. Yet he called on all those marginalized in Iran to stick to solidarity, stressing that Ahwazis are entitled to spread brotherhood and solidarity with all oppressed groups on the basis of equality and justice for all, and cooperate with all liberal groups in the region, to seek to acquire an observer status at the Arab League and United Nations. 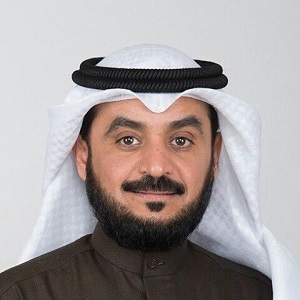 Dr. Dhafer Mohammed Al Ajmi, Executive Director of Gulf Watch Group, in his lecture entitled “Positions of Gulf States on Ahwaz: Reality and Hope”, pointed out that the international relations are administered by two types of personalities, either a diplomat or a soldier. He sees that ambiguous positions are over in the Gulf. “Saudi Arabia stands firmly in the face of Iran’s expansionism,” said Crown Prince Mohammed bin Salman. “Saudi Arabia is well aware of the fact that it is a target of the Iranian regime, and that the Kingdom will not wait until the battle rages on the Saudi soil, but it will work to move the battle inside Iran ” He stressed that the solution to the Iranian meddling in the Gulf countries is to shift the theater of the battle into the Arabian territories of Ahwaz, stressing that working in this spot shall be very painful for Iran. He cited a statement of former Iranian President Mohammad Khatami, where he said: “Iran lives by Khuzestan.” He concluded by calling for the unification of speech and efforts for the Ahwazis to obtain their right to self-determination. Fatima Abdullah Khalil, a writer and researcher on the Arabian Gulf’s affairs, in her lecture entitled “Iranian expansion from Ahwaz to Yemen”, concluded GCC states should be the Launchpad for resisting the Iranian schemes since they are more stable, richer and more independent compared to neighboring Arab countries. She pointed out that the GCC countries began recently to try to bring back the Arab Shiites to the Arab and Gulf sphere, through the Saudi-Iraqi rapprochement. She pointed to the need to promote Yemeni containment from within through integrating the Yemeni people into the Gulf, and supporting groups opposed to Iran, particularly Ahwazis. Yet she stressed that retaking Ahwaz is an Arab national necessity, and a geostrategic necessity, which will pave the way for Ahwaz to be independent and join the GCC. The lecturer noted that clawing back Ahwaz will be a deadly blow to Iran. In a lecture entitled “The occupation of Ahwaz, reassessment of the status quo, Ayoub Said, writer and researcher on Ahwaz, addressed the era relating to the annexation of Al-Ahwaz in 1925 and the subsequent obliterating of its historical sovereignty in light of interlocked regional and international conditions that pushed in this direction. He also focused on the internal factors that combined with the external factors, which led to losing control over Ahwaz. Foremost of these factors was the lack of incubators for the policies of Prince Khazal, which indifference and somewhat satisfaction at the overthrow of the Prince and the occupation of Ahwaz. 1 – What was taken by force, can only be restored by force which requires a sweeping and comprehensive revolution against the Iranian occupiers. 2 – Unifying and gathering all the political and military forces of Ahwazi in one front inclusive of all the factions, to end the Iranian occupation of Ahwaz. 3 – Raise the awareness of Arab people Ahwaz concerning the need to muster within a unified body organized politically, militarily, socially and culturally, to counter Iranian colonialism. 4 – Intensifying efforts aimed at raising awareness within the Arab and Islamic society and the international community, that this issue is part of the decolonization efforts and asserting that the Arab region of Ahwaz is a pure Arab land that was seized by the Iranian colonizer in complicity with the US. 5 – Promoting the idea of the right of the Arab people of Ahwaz to gain independence from Iran at national, regional and international levels. 6 – Working to remove all political and intellectual differences between all factions of the Arab people Ahwaz both at home and abroad. In a lecture titled ‘policies of the center towards the Ahwazi people’ over the past two decades, Hassan Radhi, director of the Ahwaz Center for Media and Strategic Studies, focused on woes experienced by the Ahwazis under the occupation in the social, economic and political aspects in light of the repressive policies aimed at wiping out the identity of the Ahwazi people. The unity required to oust the current brutal theocratic regime in Tehran and to replace it with a modern, genuinely democratic, forward-looking system can only come from finally abandoning the regressive supremacist thinking which shapes this regime’s totalitarian mindset as it did the mindset of its predecessors. The PMOI has struggled for radical change in Iran for over half a century; as Ahwazi activists and supporters of justice for all peoples, we urge the party to acknowledge the failure of the current, outmoded, brutally enforced nation-state model which has failed for many decades to recognize all citizens’ rights to autonomy, liberty, and equality. Leaders and members of the Iranian opposition party, the People’s Mujahideen Organization (PMOI) also known as Mujahedin e-Khalq or MEK, have reacted angrily to criticism of the organization’s discriminatory policies towards Iranians of non-Persian ethnicity after some Arabs and Ahwazis condemned the organization’s policies towards already oppressed minorities in Iran, who make up over half the country’s population. In a number of articles published in recent days on news websites and in statements on social media, PMOI representatives have referred to Ahwazi Arab activists and supporters of Ahwazi freedom – among the people most brutally oppressed and subjected to racist persecution by the Tehran regime – as being agents of the Tehran regime. One example of this is an article published on the Madaen website by PMOI member Ali Qaimi in which he accuses Ahwazi freedom activists of being regime agents, claiming that their objective is to slander the ‘genuine opposition’ to the regime. Such grotesque and defamatory accusations against Ahwazi activists were made without any evidence, since none exists, adding insult to injury for Ahwazi people already routinely persecuted by the regime for their Arab ethnicity. While the Iranian regime routinely subjects Ahwazis and other ethnic minorities in Iran, including Kurds, Turkmen, and Baluchis, to brutal racist discrimination and persecution, in addition to its standard oppression and crushing of all dissent, the PMOI claims to oppose this systematic injustice and to represent the voice of freedom, justice and dignity for all citizens of Iran; unfortunately it fails to live up to this lofty aspiration, with some of its members instead repeating the same anti-Arab prejudice towards Ahwazis. This failure is causing many among the country’s Arab population to question the party’s commitment to replacing the current brutal regime with genuine representative democracy in which Ahwazis have equal rights and freedoms. Many Ahwazis, already aggrieved and alienated by such inflammatory and insulting statements from the PMOI, are also frustrated that the party is routinely represented in media as being the sole opposition to the Iranian regime while other opposition groups which represent the country’s ethnic minorities, as well as those of Persian ethnicity and which are involved in far more extensive opposition activities, are disregarded. A number of Ahwazi parties, as well as others representing Kurds such as the PJAK, Turkish parties such as the Azerbaijan Independence Party, and Balochi parties such as the Baluchistan Party, which work tirelessly for freedom and human rights, at great risk to their members in Iran, to help people in their own areas and in coordination with one another, have been flatly ignored, both by the PMOI and by its international supporters. So long as the PMOI continues to mirror the ethnic supremacism of the current regime and its predecessors towards minorities in Iran and to disregard their legitimate calls for autonomy and self-determination, it will continue to be viewed as simply replicating their policies of oppression; Ahwazis, Kurds and other minorities who rose up once before in 1979 to win freedom from earlier oppressors have no desire to once again go through such upheavals simply in order to again replace one more oppressive, unjust and racist regime with another. 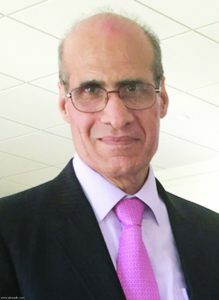 Another example of the casual racism shown by the PMOI to Ahwazi Arabs in the aforementioned article by senior party member Qaimi was his insulting effort at cultural appropriation, dressing in traditional Ahwazi Arab garb – outlawed by the regime – for his byline photo in an effort to make himself “look Ahwazi” so that his offensive claims about Ahwazi activists might carry more weight; Ahwazi Arabs are routinely arrested for wearing their traditional Arab attire. Mr. Qaimi, a Persian Iranian, even described himself as a “writer of Ahwaz”, in an attempt to suggest that he is himself an Ahwazi Arab. This is akin to the famous white American woman Rachel Dolezal pretending to be African-American in order to pose as a black activist and to write from a first-person perspective about racism; at least in Dolezal’s case, however, she was not further insulting African-American civil rights activists by claiming that they were working in league with white supremacists; in Mr. Qaimi’s case, he used Ahwazi attire in support of an article slandering actual Ahwazi Arabs who are targeted by the regime for their ethnicity and cultural heritage. This contemptible action by this writer and the grotesque slanders about Ahwazi activists contained in his article were crass, exploitative and wholly unethical and should be disowned by the PMOI if it wishes to restore its already battered credibility with the Ahwazi people. Similarly to the egregious accusations made by Ali Qaimi, the head of the People’s Mujahedeen Organization, Dr. Snabrq Zahedi, issued a problematic statement addressing some aspects of suffering endured by ethnic minorities since the 1979 revolution. In his statement, he readily showed approval for Kurdish self-governance in Iran while ignoring Iranian regime atrocities committed against Arabs, such as the Black Wednesday Massacre in the Ahwazi city of Muhammarah. The PMOI has yet to publicly take a position on, let alone condemn, the horrors enacted upon Ahwazi Arabs by the Iranian regime. The PMOI has also taken no sure stance regarding the regime’s diversion of Ahwazi Rivers to Persian provinces that subsequently instigates demographic change when Arabs are forced to leave the depleted Ahwazi lands. The PMOI, like the regime, has also not addressed the April 15, 2005, Arab uprising in any real way, save in small mentions buried deep within their media releases. Zahedi asserted in this speech, seemingly without any clear understanding of the Ahwazi issue, that “the project to establish self-governance in Kurdistan, Iran should be a general framework for all non-Persian peoples.” He was even praised for this statement by the National Council on Kurdistan in particular. So it is therefore pertinent to ask: What does it mean to say that the framework of the self-rule used for the Kurdistan Region in Iran could be applicable to all non-Persian regions and ethnic peoples? What is this framework and how does it apply to Arabs, Baluchs, Turks, Turkmen, and other ethnic minorities? Is the objective of the Resistance Council, the political wing of the PMOI, to work on establishing a self-governing model for all peoples such as Arabs, Baluchs, Turks, Turkmen, and other ethnic minorities as was approved for the Kurds? If this is the intention, why has the PMOI not made any public announcement to that effect as of yet? Why has the PMOI not sought contributions to such initiatives towards other non-Persian peoples as they did with the Kurds? There is a saying that “doubt naturally comes before assurance” as based on the lengthy experiences of oppression and betrayal, the Ahwazi people cannot be assured of anything until concrete actions are taken to back up PMOI’s statements. Previously, some members of the Ahwazi Party had attended a meeting with leaders from the People’s Mujahideen Organization. During said meeting, PMOI members stated bluntly that they will not accept autonomy for Ahwazi Arabs, as the circumstances of Kurdish autonomy are completely different. It would seem that the PMOI have taken a tolerant stance towards the Kurdish issue, perhaps in part to the preponderance of Kurdish people within their own forces during the Iran-Iraq war. This alliance seems to have facilitated a bridge for cooperation between the Kurds and PMOI. Another factor may be that the PMOI believes that Kurdish people belong to the Aryan race, which seems to have made it easier to accept their desire for autonomy above other ethnic minorities. Other than the aforementioned factors, there seem to be no other sensible reasons why the PMOI would support only Kurdish autonomy in Iran, which is still seen as “fragile and unreliable” according to Abdul Rahman Ghassemlou who was the iconic leader of the Kurdistan Democratic Party of Iran until his assassination in 1989 by individuals suspected of being agents of the Islamic Republic of Iran. The unity required to oust the current brutal theocratic regime in Tehran and to replace it with a modern, genuinely democratic, forward-looking system can only come from finally abandoning the regressive supremacist thinking which shapes this regime’s totalitarian mindset as it did the mindset of its predecessors. The PMOI has struggled for radical change in Iran for over half a century; as Ahwazi activists and supporters of justice for all peoples, we urge the party to acknowledge the failure of the current, outmoded, brutally enforced nation-state model which has failed for many decades to recognize all citizens’ rights to autonomy, liberty, and equality. We are seeing the results of this systematically unjust and outmoded externally-imposed political model playing out tragically across the region as long-oppressed peoples, subjected for decades to injustice and oppression on the basis of sect, ethnicity, and faith, rise up for freedom and dignity, with assorted dictators and totalitarian regimes responding with further murderous oppression. The monstrous Iranian regime is central to efforts to ensure continuing tyranny regionally, as domestically. In order to succeed, the PMOI must incorporate the voices of all of the oppressed peoples in Iran, working as equals with Ahwazis and all other minorities to forge a new, mutually respectful political model, leaving the current, brutal and outmoded one in the dustbin of history where it belongs. This text was written by Dyab Abu Jahjah in 2012. This is his site. Relative to revolutions all around the world, the Tunisian and Egyptian revolutions are historical miracles and a shining example of non-violent, civilized uprisings. The Yemeni revolution, in its insistence on non-violence and its discipline, is truly amazing, as is the revolution in Bahrain. 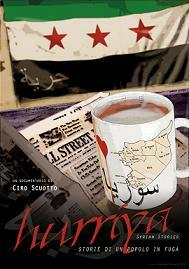 The Syrian revolution, in its enormous sacrifices in the face of a ruthless killing machine, is a historical epic. 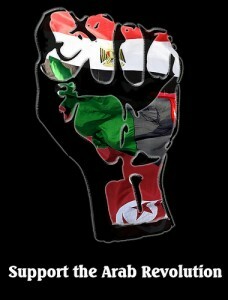 The revolutions in Libya is an epitome of effectiveness. We cannot just mention Libya in passing because the Libyan case has become the favorite example for conspiracy theorists and doubters in the revolution. It is true that the intervention by NATO is complicated and is definitely not innocent. But it is also true that the agenda of the Libyan revolutionaries is not identical to NATO’s agenda. This divergence will emerge slowly but surely because the relationship between the Libyan revolution and NATO is not one of submission. European powers wanted to secure the oil contracts that they had signed with Kaddafi and at the same time appear to support the Arab revolution after their shameful support for Ben-Ali and Mubarak to the very end. The Libyan revolutionaries wanted air cover in their confrontation with Kaddafi’s barbaric killing machine. and unfortunately no Arab or Islamic country was able to provide such a cover. Hence, a deal was struck, and we must look at this deal from the point of view of shared interests. In the end, Libya has been liberated and there are no occupation forces and no NATO mandate on Libya. As for the oil contracts, they are a matter of commerce because oil is nothing more than a commodity that is sold by the state based on the people’s interests; it does not represent our dignity or our honor. Isn’t it better for a free Libyan people to trade and cooperate with foreign countries to benefit itself rather than for a dictator like Kaddafi to do the same thing while oppressing his people for the benefit of himself and his sons with their many lovers? A free people determines its path by itself and no one can claim any longer that a deranged tyrant knows his people’s interests better than the people. The alternative, for those who are always asking about alternatives, as if we were replacing one totalitarian government with another, is always the ballot box. What’s more important, and what is true in any region in the Arab World, is that foreign intervention is a small detail in the midst of the massive historical movement that the Arab revolution represents, which neither the reactionary oil oligarchies nor Western imperialism will be able to co-opt no matter how hard they try. The old regimes and their remnants will fail in their attempt to paint the Arab revolution as a western conspiracy to dethrone them because of their achievements in pursuing the interests of the people. The people know that the historical trend in our region is one of revolution, and they are aware of the West’s attempts to intervene and co-opt the revolution, but they are also capable of thwarting these attempts. In Syria, for example, the revolutionary forces have rejected military intervention and instead called for international protection and observers, and some insist on most being Arab, in spite of the enormous oppression and killing. Those who accuse the Syrian revolutionaries of being traitors are similar to someone who denies a seriously ill patient medicine because that medicine is made in Paris or London and is being distributed by United Nations agencies. All kinds of scum are defending Bashar al-Assad following his attack upon the people of Idlib with chemical weapons. I’ve had to respond to many of these heartless people who prefer their vacuous Alex Jones based conspiracy theories over human life but…seriously…at least 10 kids under the age of 11 died an excruciating death so I am just way too PISSED OFF to carry on. But I want to address this Russian LIE that they supposedly bombed a munitions depot where the rebels were storing Sarin gas. Sarin gas is highly unstable and is easily rendered inert. The Russian account of having bombed a Sarin containing depot is scientifically impossible. If you bomb Sarin with incendiaries, it will be rendered INERT by the exceedingly high temperature of any blast. It just takes 150 °C to decompose Sarin into various forms of phosphorous. The average missle emits 2,480 °C (4,500 °F) which is way beyond what it would take to completely erase any Sarin. 1) Tons of eye witnesses on the ground testify to the Russian/Syrian aerial bombardment of chemical weapons. There are PICTURES of the spent casings and tanks on the ground. The entire world knows Bashar and the Russians did it, and the SAA, Russia and Iran are the only people ON EARTH saying otherwise. 2) The SAA first released a statement saying they did nothing. That was a lie that Russia themselves ratted out when they admitted that they bombed Idlib. The first question is: Why were they bombing a residential area in Idlib? They claim that they were targeting a munitions depot that contained chemical weapons. The SAA/Russian explanation is 100% a lie that can easily be proven by SCIENCE in that if they bombed a stockpile of Sarin gas, it would not release and kill everyone. It would be rendered completely inert and USELESS. In the end you can’t argue with basic CHEMISTRY AND SCIENCE. And there are a bunch of kids who choked to death on their own bodily fluids, and the fact that people are defending Bashar after that pisses me off immeasurably. So be warned: My tolerance level for nonsense when it comes to this tragic and painful subject is ZERO. 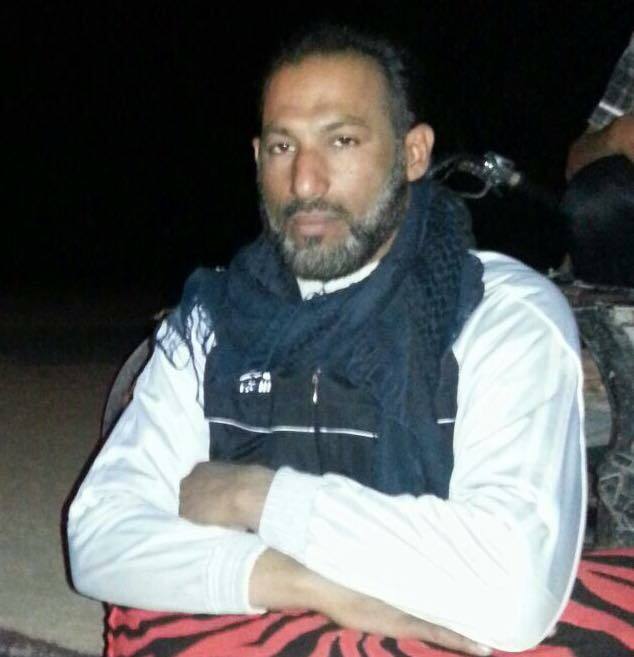 An Iranian regime militia shot an unarmed wheelchair-bound disabled Ahwazi activist dead in front of his wife and children in their home, apparently “revenge” for his civil rights activism. The armed group belonging to the Basiji (also known as Sāzmān-e Basij-e Mostaz’afin), one of the five forces of the ‘Army of the Guardians of the Islamic Revolution’, stormed into 39-year-old Saeed al-Bahrani’s house in the town of Koura in southern Ahwaz capital on Sunday evening, April 2, 2017, shooting him dead in front of his horrified wife and three children. The regime militiamen gave no reason for their actions, with al-Bahrani’s wife and family having no legal recourse despite this brutal murder. Saeed, aged 39, was a tireless community activist, a Sunni cleric and a widely admired and respected local figure in the poverty-stricken town, who spent much of his life engaged in campaigning for civil rights and freedom for the marginalised Ahwazi people. Koura county is one of the most populated and deprived areas affiliated to Mahshahr port city, this port is the capital of petrochemical industry of Iran, however, its Arab locals denied any basic rights and employment in oil and gas petrochemical complexes have been driven to live in medieval poverty. According to Ahwazi rights groups and activists, such cold-blooded murders of activists by the regime’s troops and militias are routine. Ahwazi activists say that the continuing silence of UN and other international human rights organizations on the Iranian regime’s rule by terror, in which grotesque human rights abuses are just another tool of governance, effectively gives the regime carte blanche to continue. Ahwazi Arab activists on 26 February 2017 has circulated an amateur video on social networking sites showing an Ahwazi citizen lying on the ground, having been shot at by an Iranian police officer in the Zaafaraniya district, west of the capital of Ahwaz. The police shot at the young Ahwazi man ‘in cold blood’, hitting him in the right leg, when he refused to be searched by them. The video shows the young man unconscious and soaked in blood, with a crowd of concerned and angry people around him, while the police sit in their patrol car nearby. 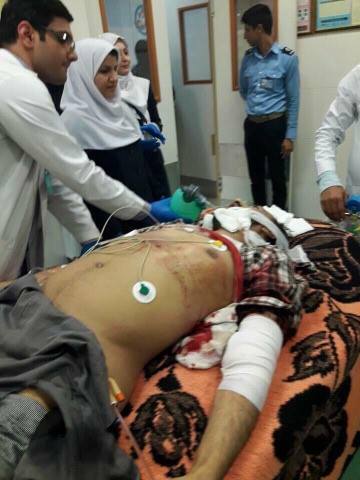 Sources confirmed that the police did not call an ambulance to take the injured man to hospital until some of the locals from the Zaafaraniya district intervened and took him to a hospital in Ahwaz City Centre themselves. There were conflicting reports about the injured man’s latest condition, with some saying he has died of his injuries. This is the fourth time within the last few months that there has been an incident of this kind. On 9 February of 2017, a random shooting by Iranian soldiers killed a young Ahwazi man in Falahiyeh City and another citizen was wounded in the city of Shush on Wednesday 22 February by Iranian intelligence. 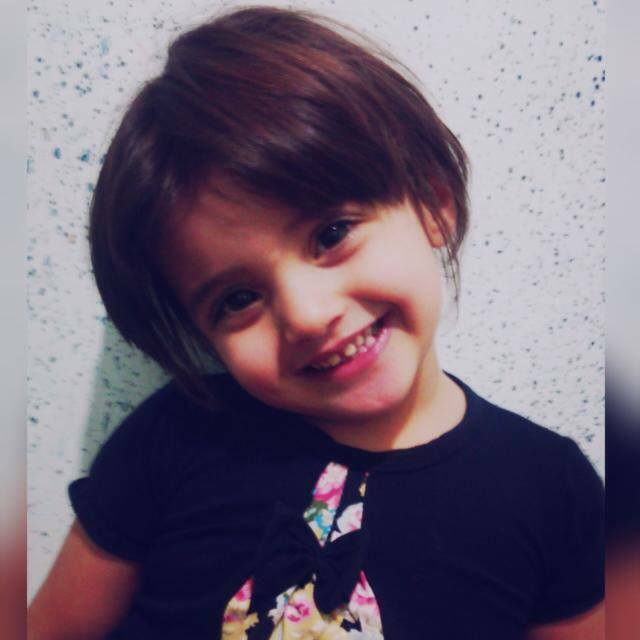 Also, Ahwazi human rights activists have reported on October 27 2016 the murder of a three-year-old girl, Raghad Abbas (pictured), who died instantly on being shot through the heart as she sat in the back of her parents’ car when Iranian security forces opened fire indiscriminately on the vehicle on Monday October 24th. Her father, Abbas Hassan Mashal Al-Sari, aged 41, who was driving the car, and her mother, Zahor Abdul-Sada Al-Sari, were also critically wounded in the shooting, which took place in the Alawi neighbourhood, a western suburb of the regional capital, Ahwaz. Neither of her parents were armed or involved in any illegal activities, and no reason has yet been given for the attack, nor has any apology been issued for the murder of the little girl. Immediately after the brutal slaying, the security officers responsible dragged the injured, newly bereaved father, Abbas Hassan, from the vehicle and arrested him as his traumatized, also injured wife looked on, and as their daughter’s dead body sat in the back seat, before taking him to an undisclosed location. The attack on the family’s vehicle was apparently part of another ongoing brutal crackdown by regime security forces on Ahwazi Arabs. These random acts of violence are typical of the way the Iranian regime forces act in the Al-Ahwaz territories – taking pleasure in every opportunity to flaunt their complete control over every aspect of the civilians’ lives. For years, the Ahwazi Arabs have been killed, shot, attacked, beaten, insulted and humiliated on a daily basis by the thugs of the Iranian regime, who act with impunity, secure in their knowledge that they have a carte blanche to act as they please. As long as oil continues to flow from Ahwaz, many in the world seem quite prepared to turn a blind eye to the spilling of blood and shedding of tears of the dispossessed Ahwazi Arabs. This is unacceptable. We pledge to continue to draw attention to the injustices being suffered by the Ahwazi Arab population until such time that justice and humanity will prevail. For too long, Ahwazi Arabs have suffered in silence, the ultimate invisible victims. It is hard to understand just how isolated and betrayed the Ahwazi people feel, savagely persecuted by Iran for almost a century with the silent, treacherous complicity of the international community. Compounding this problem is the media blackout surrounding events in Ahwaz, with the current regime’s effective hermetic sealing off of the region assisted by the collusion of the world which is either wholly indifferent or swallows the Iranian regime’s obscene lie of ‘resistance to occupation’ wholesale. Ahwazis face vast challenges in bringing attention to the plight of the people in a world constantly preoccupied with “more pressing concerns” and a region awash in systemic violence, much of it directly or indirectly courtesy of the same regime responsible for their suffering. Need to mention that the core attention of the majority of Iranian rights groups has broadly been devoted to spotlighting the violations that are committed against persons that live in Tehran capital and central Persian regions. These organizations in their written goals claim that they are seeking democracy, civil freedom and putting an end to racial oppression and discriminations but such stated objects have never been put into action when they deal with the human rights issues linked to Ahwazi Arabs as well as other ethnic groups. 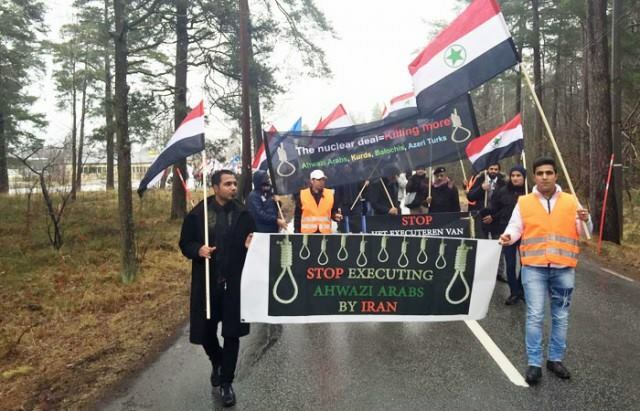 Until about two years ago, there has not been even a simple statement or action by Iranian human rights organizations denouncing the execution and persecution perpetrated against the Arab people of Ahwaz. 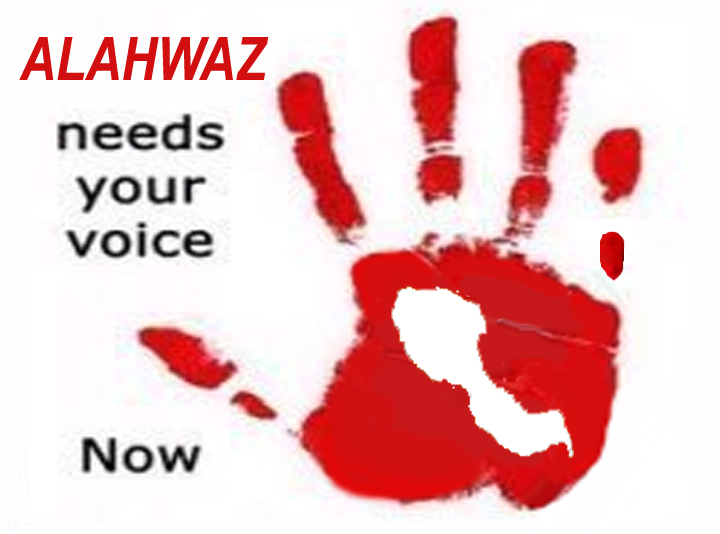 Only after many actions carried by Ahwazi activists only two or three organizations, among dozens of Iranian human rights organizations, took action by revealing the human rights violations in Ahwaz. The other organizations engaged in ultra-racist duplicity to evade highlighting the Ahwazi plight. Despite living in the region which holds over 95 percent of the oil and gas resources claimed by Iran – the reason for the British backing of Iran’s 1925 annexation of Ahwaz in exchange for oil contracts – Ahwazi Arabs live in medieval poverty under an effective apartheid system, being viewed as inferiors due to their Arab ethnicity; most of the population exists below the poverty line, with limited or no access to jobs, education, healthcare, or even basic utilities such as electricity and gas or running water. The Bahraini deputies, in their proposal, stressed that Bahrain is the first to support the right of Ahwaz and support the right of this people to defend itself, they stressed the just cause of Ahwazi freedom and announced upcoming initiatives to internationalize it. Raising the proposal by the House of Representatives to demand recognition of Ahwaz as an occupied Arab state has been attacked by the Iranian media, accusing the Kingdom of Bahrain and Saudi Arabia of attempts to destabilise the national security of the country following the memorandum submitted by the Bahraini House of Representatives to the Parliament in order to recognize it as an occupied Arab state and should support it by every legal means in all levels, not only politically but also in the human rights area and through the media. MP Issa Turki said the issue of Ahwaz is an Arab cause that has been forgotten, and this term will change after the mobility of Ahwazis, it is a human rights issue par excellence, and requires us to provide support and assistance to this just cause, especially in the international circles, so that we can be the voice of this issue calling on the Arab League to adopt the cause of Ahwaz based on the principles of justice and humanity that is consistent with the legal principles enshrined in international law. For his part, Chairman of the Human Rights Committee MP Mohammed Almarafi said, addressing himself to Ahwazis, “Your cause is the cause of all the Arabs, we will support you to give this issue all the legitimate channels through Gulf Cooperation Council, the Arab League, and the United Nations Council”, and he emphasized the granting of the Ahwazi Arab people of their rights and rejecting what is practiced on them as unspeakable abuses. “We call on the international community to take notice of Ahwazi human rights, this situation affects international peace, and the Kingdom of Bahrain is a forerunner in taking into account all rights of peoples, and Ahwaz was, in fact, a state and we support them in order so that their state is returned, and every human being who has the power to support it should exercise all kinds of pressure on the Iranian regime, making the Ahwazi case a core issue. 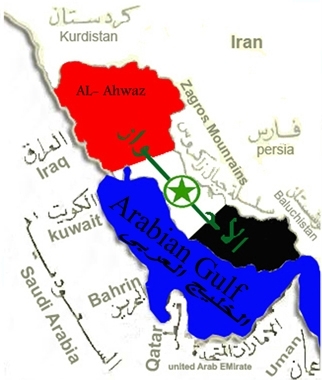 Two members of the Executive Committee of the Arab Struggle Movement for the Liberation of Ahwaz, during the seminar said that approximately one-third of Iran’s waters and more than 95% of the oil and gas claimed by Iran is located in Ahwaz, also Ahwaz includes agricultural wealth in the palm dates, wheat, barley, corn, sugarcane, citrus and vegetables, mineral iron, mercury resources. He explained that the Ahwazi oil is the lightest oil in the world and is used in many industries. The independence of Ahwaz will transform Iran into a weak state. They added that the Ahwaz population ranges between 10 and 12 million and is rising. There have been 12 popular uprisings since 1925 against the Iranian occupation and they have given many martyrs for the return of Arab sovereignty of Ahwaz, showing the world, despite all media blackout and global lack of attention, that the Arab people did not kneel to the occupation. They added that Iranian violations in Ahwaz are countless, most notably the executions in the streets and that is not limited to men but includes women and children, as well as mass arrests, unfair courts, and dissemination of drug. There is denial of employment to Ahwazis, as well as the Ahwazi environment being destroyed by building dams on the rivers Ahwazi, diverting its waters into the depth of the Persian provinces, and this criminality against Ahwazi people, has resulted in the draining of the marshes. The regime not only confiscates Ahwazi lands, but they began to demolish Ahwazi homes, preventing the people from learning the Arabic language and imposing the Persian language. There has been a ban placed on the wearing of traditional clothing in regime institutions, preventing the naming of children with Arab names and the changing of the names of all Ahwazi Arab places into Persian. Towns have been built for settlers with full support for them, giving them the jobs denied to Arabs. This is to bring about demographic change to the Ahwazi areas. There are also common criminal activities against the people, such as shooting at civilians and many other crimes that need seminars to shed light on them. The members of the Executive Committee of the Arab Struggle Movement for the Liberation of Ahwaz, during the seminar, displayed clips of the torture of children and prisoners practiced by the Iranian regime against Ahwazis, surprising the attendees at how the Iranian regime advocates human rights in Bahrain, which commits all these crimes in Ahwaz. They said, “Resistance of Ahwazis, after 3 months of occupation, started and continued through several methods such as of adherence to Arabic language and holding seminars and organizing demonstrations and protests in Ahwaz, and demonstrations in the Diaspora, there are many revolutions that broke out on Ahwazi land, but with great regret, the media blackout dealt a painful blow to our struggle and that is why people have heard little about the Ahwazi plight that is a human rights cause deserving of all the world’s support and solidarity. The Bahraini deputies stated they know the history of Al-Ahwaz and violations that the people are suffering and their stolen nation, their human rights denied, and this increases their belief in justice, as Ahwaz is a continuation of the Elam civilization period that lasted for 7000 years, stretching from Iraqi Basra to the Strait of Hormuz, an area of 375,000 km, which includes many Arab cities, the most important are Abadan and Mohammerah, Ahwaz and Bushehr. (Palestinian readers, PLEASE sign the petition linked at the bottom) We, the undersigned Palestinians, write to affirm our commitment to the amplification of Syrian voices as they endure slaughter and displacement at the hands of Bashar Al-Assad’s regime. We are motivated by our deep belief that oppression, in all of its manifestations, should be the primary concern of anyone committed to our collective liberation. Our vision of liberation includes the emancipation of all oppressed peoples, regardless of whether or not their struggles fit neatly into outdated geopolitical frameworks. Where are the Syrians in Max’s Speech? I read Max’s article which aims to open our eyes to the dangerous hidden reality behind The Syria Campaign. I read it over and over and all I felt was a combination of patronisation and humiliation in detail after detail… Beginning with the focus on who took the photo of Omran and who published it and neglecting the fact that what happened to Omran did actually happen and the boy really was bombed. But of course this detail is marginal… just as marginal as all other Syrian men and women in that piece of writing. All of us are marginal details. More important now is how to help the killer escape by spreading doubts around all the human rights violations they committed. My organization is one of the 73 organizations that signed on to suspending cooperation with the UN. The decision was taken and planned as per the following steps. Months and days of dysfunctional coordination with the UN as a result of the political ties of the UN’s offices in Damascus. Let alone the grave failure, that the UN admits to, of dealing with the sieges. The Syrian anger towards this topic was portrayed through many responses, actions, banners and campaigns such as United Nothing. All those are purely Syrians but it seems not important enough for Mr. Blumenthal to mention. We internally shared the statement, which was drafted by Syrian humanitarian organizations, for endorsement. We even objected to the mild language of the statement which some described as nice and friendly. After the internal agreement of the drafting organizations, which apparently it’s not convincing to the writer that the Syrian organizations have a decision-making mechanism, we shared the statement publicly for wider endorsement. Of course Mr. Max is able to judge and knows better than all of us that we as Syrians have been influenced to shape our opinions! We have been “spurred” to sign! We are mislead, absent, easily manipulated. This is how Syrian organisations are portrayed in the article. On the no-fly zone and regime change. Here comes a more irritating speech. Early 2012, I wrote a “silly’ blog under the title “10 reasons why I am against no-fly zone”. I was “naive” back then to think there were global civilian protection mechanisms that will prevent us from tending to such solution ie; no-fly zone. I used to think that airstrikes will never be part of the regime response against people. I had the luxury to do so as by then we were not bombarded at from the sky yet. Until today I regret that feeling of luxury. Yes Max, The Syria Campaign say we need a no-fly zone and it is because it echoes what Syrians call for day and night. Yes we want the shelling to stop. We want the aerial bombardment to stop. Which is until this moment just a small detail in your article. Yes the Russian and Assad airstrikes target Syrians, their hospitals and schools. But this article is not about that small detail that takes the lives of hundreds every day. This one is about how dare an “advocacy” project for syrians to convey syrian messages to the world!! Yes Max we do want a no-fly zone because two of our education staff were injured last week. Maybe because the manager of our education office in Aleppo has to face a decision whether to close schools and deprive children of their right to education or open schools and risk their safety and lives. Because once we had to discuss a real decision, and not imagined, on what is the “normal” ij number of airstrikes where we would continue to operate civil and humanitarian activities and when do we cross the “Ok” number. Because hospitals are underground. Because schools are now underground. They brought us bunker buster bombs you know. I looked this word up in your article. It doesn’t sound that important. Bunker buster bomb that destroys schools and hospitals and even shelters. But what I found in your article that foreigners want a No Fly Zone. How dare they!!! Dear Max, if you had listened to Syrians. If you just had assumed that we exist and do have opinions, maybe you would have figured out how we reached this point. How do we live every day based on Whatsapp ringtone bringing the news of the location of each attack and who are the casualties. Syrians there live on military air forces planes rhythm, wondering are we going to be bombed during the day only? Shall we work at night? Instead. No shall we do early mornings. The Russians and the regime which you are discomforted with our will to topple are now working full time job. Day and night. We die. The simple logic is that we want to live. They attack us using air force. We want airstrikes to stop. Don’t you think this is logical? It is not because we are emotional people. All people across the world, I believe, don’t want to be attacked by air force. This is something common, no? While discussing toppling the Regime it seems that you are missing some points dear Max. Let me make things clear for you. In 2011 we revolted against one of the toughest dictatorships. We called for freedom and for democracy. We as syrians, for sure if you managed to believe me, want democracy, we want the end of arrests, incommunicado arbitrary detention and shooting at peaceful demonstrations. We want the end of chemical attacks and Bunker buster bombs. We dream of change. Changing this regime, the same regime you referred to revolting against as a coup over a democratically elected government and not as a people’s will to restore its rights. Wait maybe you know better than us about our affairs. Yes sir, The Syria Campaign as an advocacy group in support of us Syrians does say a lot of what we say over and over which no one listens to. Maybe this is considered political to you but I can see you are trying to take things to a level that is very dangerous for us Syrians. Not only as Syrians but you are undermining the activist movements across the world by painting democracy as a political issue. Hence justice, equality, freedom, and impunity become political issues that civil society activist should not get invloved in. This makes dictators happy while we work like doves of peace. Yes Mr. Max, we syrians suffer daily from patronization over our advocacy as when we say Bashar Al Assad is killing us, our “supporters” rephrase to “ Syrians are being killed, Syrians were attacked, Syrians are starved”. The perpetrators are passive in that discourse. Our asks are trimmed or toned so we don’t disrupt anyone with such an ugly form of patronization. This what has forced us to see the need to define advocacy. Is it teaching Syrians what they should want while they face death everyday? Or conveying Syrian messages and voices to the world? I will not even bother to comment on the White Helmets accusation. They have enough of the hallelujah of Syrian women every time they reach an airstrike site rushing to save people. In addition to cheers from children that they have saved and those are even more honoring than Nobel peace prizes even if I really hope they get it. We are just happy and proud as the White Helmets are from us. 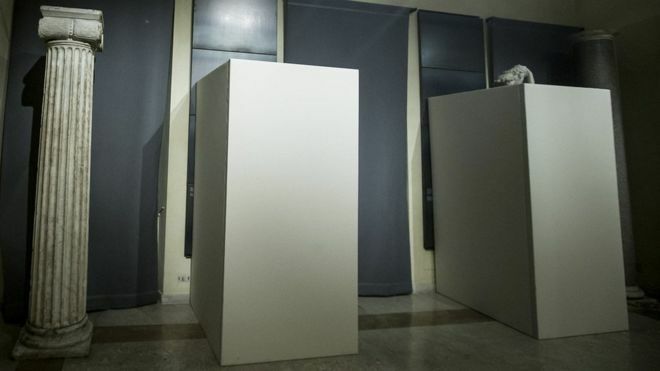 It seems the Italian authorities thought they had to cover up all the nudes in a museum for President Rouhani’s visit. Europe allegedly despises the veiling of ordinary Muslim women, but hypocritically covers up statues to appease the Iranian Islamic leaders – censoring classical art is all about oil. The West’s silence with respect to Iranian terrorism and Tehran’s interference in the affairs of others is a strong contributing reason for all that is happening and will happen in this region. The West’s double standards in defining terrorism and what it means to counter it have now become overt to all. Khamenei, the main backer of Assad, continues to support the Syrian dictator, responsible for a war that has killed over 250,000 people and displaced more than half of the country’s population. The major powers, especially the United States, look to the region through a different lens than the Arabs and other regional nations do. It appears that immediate economic, political and military interests are the main drives for the involvement of the Western countries in the Middle East, and no other considerations, such as human rights and long-term implications seem to be of any importance at the current juncture. Many remained heedless towards the Iranian political readability. But with the progress of time and Obama’s focus on the Iranian nuclear program after failing in all other areas in the region, some began talking about the wager of “Obama” on Iran in the hope that history preserves his legacy after he leaves the presidency in early 2017. In fact, the intent of the Obama administration, all along, has been to empower the Islamic Republic regionally – and they’ve certainly succeeded. Based on his actions, Obama clearly doesn’t care about the fate of Iran and ordinary citizens who are oppressed by the regime any more than Bush did; he’s better at PR speeches and paying lip service to human rights. He’s naive in that he managed to convince himself and others in his administration that it would be in the interests of the United States to have Tehran as a regional policeman, rather than the United States, and a “partner for peace” for the West, via controlling the region. Iran’s involvement in the region would enable the US to “pivot to Asia” or otherwise focus on whatever the latest foreign policy trend the policy wonks are recommending. In reality, allowing Iran’s expansionist ambitions is a recipe for endless war. Despite his seemingly idealistic vision, Obama is certainly no anti-establishment guy. Obama’s primary ‘legacy’ has been to empower fascist demagogues, dictators and totalitarians domestically – such as Trump, who probably genuinely could shoot people and still get more votes, as he claimed – and globally. Proof is his support for the political descendant of Hugo Chavez in Venezuela, the Castro regime in Cuba, the brutal Islamic State regime, Bashir al-Assad. Obama’s policies have also led to Putin’s Russia increasing their interference and influence around the world. George W. Bush considered Iran part of the “axis of evil”, and Iran calls the United States “the Great Satan”, today we witness a temporary marriage between “the evil” and “the great Satan”. What brought the region and the world to this point? How will the face of the region change after Tehran feels emboldened by the loosening of Washington’s grip on the region, giving the green light to the Islamic Republic’s interventions in the internal affairs of Arab countries, and continuous strengthening of sleeper cells and spy networks, agents of influence, support for terrorism, and instigation of sectarian strife in the region? The Western States, on the one hand, shake hands with state sponsors of terrorism, and secretly strengthen those bonds with multiple partnerships on various levels, and on the other, these Western states demand that Arab countries, led by Saudi Arabia, fight terrorism and freeze the financing of terrorist organizations, root out support for terrorism in all forms. 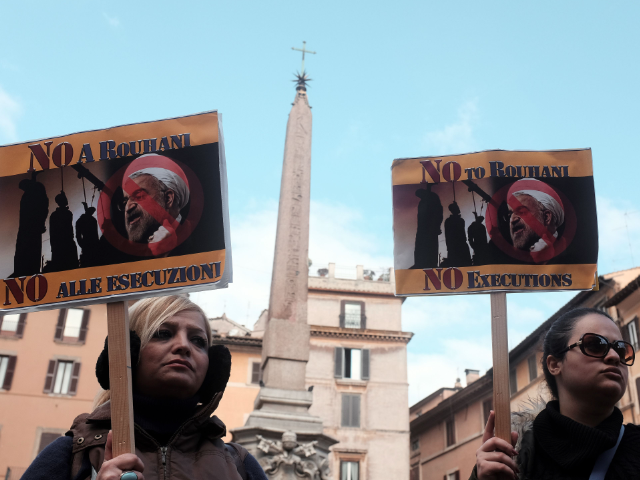 Hypocritically, these states simultaneously slam and condemn Saudi Arabia for executing terrorists, so long as such condemnations play into the hands of the Islamic Republic. These two contradictory stands do not mix well. 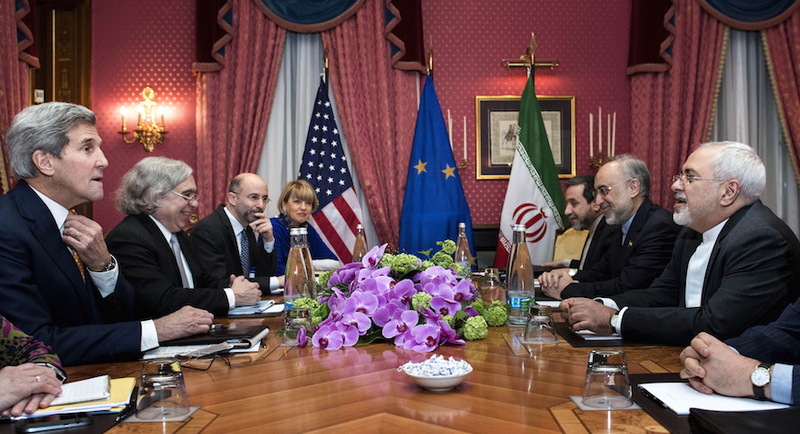 They can work only in the baseless fantasy of Obama’s projected entente with Iran, allegedly aimed at providing the region with security, stability and integrity. With honesty that suits the political landscape and developments around us, we should say without hesitation or shame: the Iranian aggression and projected expansion that targets our nations with the tacit complicity, and the terrible silence of the West cannot be met only with a similar response. This is the time to respond with firmness and determination in a world that tolerates no weakness or hesitation. Iran has spread its arms and military cells in our countries; it seeks to resuscitate a sinister version of the Persian Empire, create a Shiite Crescent and under the umbrella of Mahdism and other nationalist auspices while harping on the glories of the Sassanid past. The current regime only understands the language of force. Therefore, we are forced to respond with the same methods. However, no strong response to the Islamic Republic’s expansionist ambitions can be made successfully taking a fitting strategic agenda and a thoughtful decision-making process. The Islamic Republic correctly reads the West’s capitulatory policy the region as its inability to confront Iranian arrogance. The West’s perceived weakness emboldens the Mullahs to continue in their interventions and to grow and multiply their wicked plans. The West forgets that the actual power in Iran lies not with Rouhani but with its Supreme Leader, the Ayatollah Khamenei, who is directly responsible for the Iranian Revolutionary Guards Corps (IRGC), Iran’s counterpart of the former Soviet KGB, imposing oppressive measures at home and promoting terror across the Middle East. 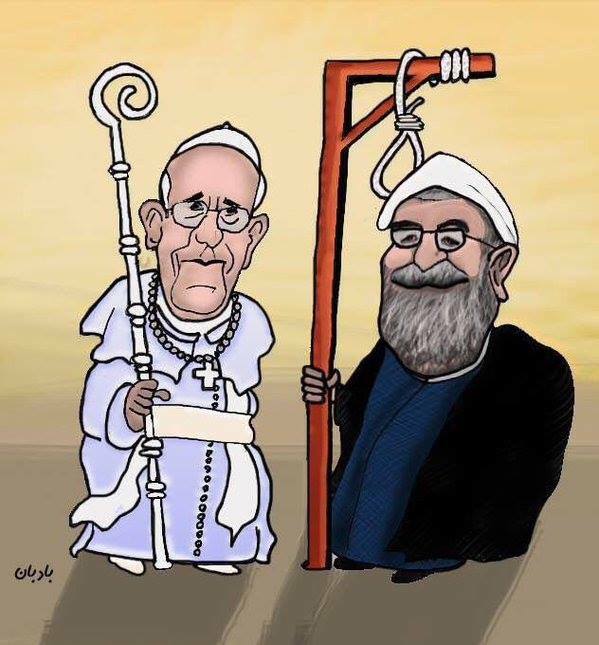 It is this regime, controlled by the Supreme Leader and the mullahs, that continues to contribute heavily to terrorist organizations such as Hezbollah and funding Shi’a militias and individual despots such as Assad who have committed mass atrocities against his own citizens. One could (and should) criticize the mullah regime for being racist and utilizing racism and scapegoating to support centralized power and keep their subjects away from heretical thoughts. Iran has a long history of conquering and subjugating its ethnic and religious minorities. 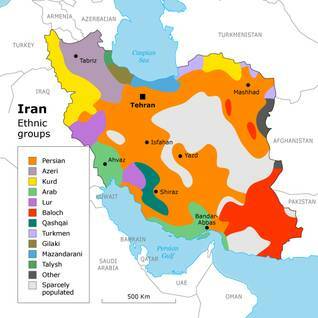 Ethnic subjugation and oppression precede the Islamic Republic — we need only to take a look at the history of Al-Ahwaz, Iranian Kurdistan, and Baluchistan, not to mention South Azerbaijan. There is no shortage of horrifying stories about activists who have been imprisoned, raped, beaten or tortured. The hostilities of the Iranian Mullahs towards the Arab Gulf countries is not born of the moment, and the burning of embassies is an accurate reflection of the nature of the Iranian regime. It is an aggressive theocratic Persian cult worship which underlies the structure of the regimes’ ideology. This doctrine survives only as long as exporting violence can be perpetuated, which itself is achieved via claiming all Arab Shiites as Iranian subjects and their land as Iranian land. This Iranian exportation of sectarian violence among Arabs and in Arab lands is affected in order to avoid solving Iran’s unsolvable internal problems and to export them outside its borders. Since 1979, Iran started applying its provocative policies which were vigorously and successfully responded to by Iraq and Iran was forced to retreat inside its borders. With the American destruction of Iraq, however, the Arab world was left wide open to Iranian aggression. Iranian purposes cannot be achieved in a quiet area away from escalation due to its interior economic and political and social problems. The Iranian people, including ethnic groups, have long suffered and experienced harsh suppression at the hands of the Iranians in power. 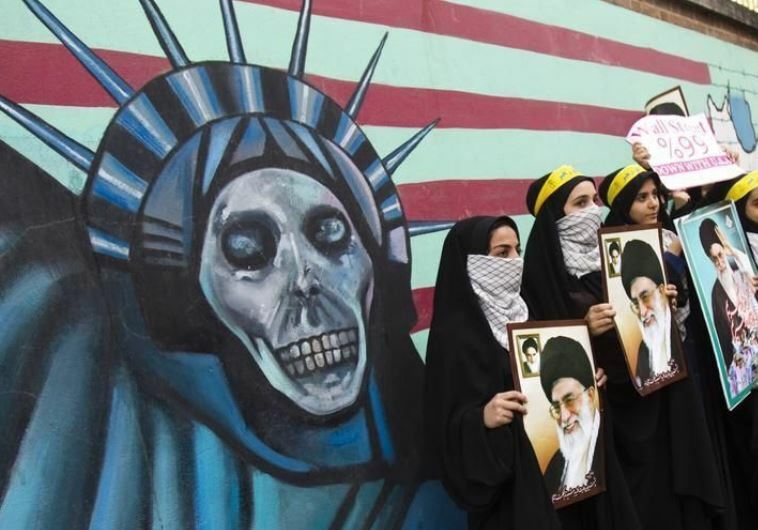 In order to cover up for Iran’s chronic unsolvable problems, the peculiar Persian cult worship type of Shiism was developed, and exporting it gives the Mullahs respite in their tenuous hold on power inside Iran. Thus, Iran’s policy was built on interference in Arab affairs and continues to interfere in the internal affairs of the Arabs in the era of monarchists as well as during the revolutionary period of the Mullahs. Both under the Shah and Khomeini, wherever Shiism exists the land is claimed Persian one way or another!!! This shows that Persian expansion has always come at the expense of the Arab countries and interference in their internal affairs. Most important though is that this aggressive Iranian policy is not the result of a particular system, but is thought rooted in the very foundations of the Persian state that sometimes shows itself in Monarchy apparel and other times dressed in the Islamic Republic guise. For both the Shah and Khomeini intentionally created an arch and historical enemy for the Persian State, which permeates both old and new Iranian doctrine. A psychological hostility was established in the center of Iran towards the Arabs which led to the arrogant racist view of the Iranian community members who make up the political and social system and the rest of civil institutions and non-civilian organizations. If we investigate a little bit, the monarchic Iranian or Republican culture both rely on racist approaches. Both insist on focusing Iranian education on mobilizing Persians via arrogant racist socially constructed myths in favor of bullying the Arab region, intending to building generations who harbor hatred towards Arabs even among opponents of the regime living in European countries, where we find that the hatred of the Arabs is rooted and ingrained. However, they endured the oppression from their rulers in the Royal era. Iran is not a state of institutions as it claims, but a state of the militia. Charters and international laws will not deter it but it can be hindered by firm force as Iraq did in 1980 and Saudi Arabia in 2011 in Bahrain, as well as the Gulf-Arab alliance in a decisive storm in 2015, and add to this it is the right time for Arab countries to activate the cause of oppressed peoples in Iran such as Ahwazi Arab people under Iranian occupation and through supporting those people in their claim of right to self-determination. I am well aware that the decisions to be made are difficult, but the most difficult is the fact that the world respects only those with power, regardless of moral imperative. Thus, we are forced into a Solomonic dilemma of having to launch a decisive storm in alliance with some Arab countries, against a much greater evil in the face of the Iranian regime. The world has tolerated the status quo for military action approved by the Security Council; this approval would not have been possible if the operations did not originate on the ground and the Arab states did not prove they can take crucial decisions on their own without waiting for the approval of Western or Eastern states. Perhaps this successful model can lead the Iranian regime to shift from an offensive to a defensive position and to retreat to the inside, where it will be forced to face the long overdue retribution in the hands of its own citizens. That is when the Iranian people will take their stand for freedom from tyranny and religious fundamentalism. And thus, the region can finally achieve the release from the evil of the Iranian regime. Revolution has not yet come to Iran. Therefore, Iran will be the major root of instability and violence all across the region. Now the time has come when Arab nations, in order to rid themselves of terrorism, need to set aside their differences and act as a united force to confront Iranian hegemony. In addition, the Western powers need to reconsider their view of the Middle East and not contribute to conflicts that may be difficult to contain later. The silence of the West to Iranian terrorism and intervention in the affairs of others is the primary reason for the growing instability and violence in the region. When will the great powers take the actions of which they are capable and prevent the spread of violence in the region? 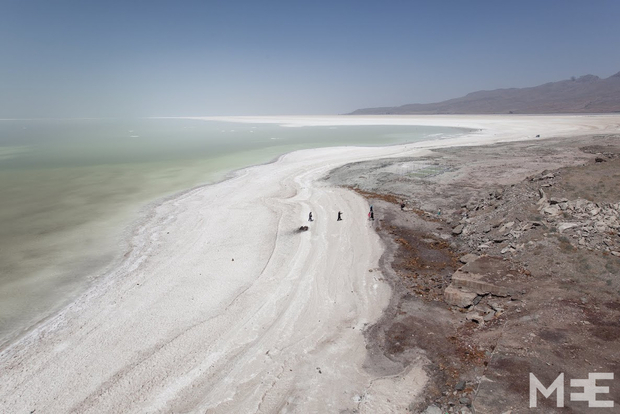 In the case of Lake Urmia’s drying out, he said that the lake’s waters will no longer be replenished as the water is diverted by manmade channels to other areas, making it impossible to restore it to its former state. With large amounts of water already being diverted from Ahwazi waterways to other areas in Iran, he warned that the ecosystem should not be further damaged by more redistribution of the scarce waters there. About the nature of the current war for water in Iran Professor Kurdwani said that there is, in fact, a cold war over water in Iran covered up by the media with great efforts and downplayed within the shadow of the haughty nuclear issue. Nevertheless this water war will widen and will come out of the closet to the open in the coming five years. And it is the real threat to Iranian national security and sovereignty. However, the politicians in charge in Iran will try to keep it under control and ensure that their benefits remain in place by sucking up the water resources of all the drought-stricken provinces such as the Abu Shahr province. This is the horrible fate of the Karoon River, which was once Ahwaz’ busiest waterway, teeming with marine life, as well as being the only navigable river in the region. It is worth noting that NASA stated in a report that Iran is 8 years into a drought that will last for the coming thirty years which will lead to Iran’s complete desertification and that Iran will cease to exist due to water and starvation within the next ten years. The average surface precipitation rate worldwide is 800 cubic millimeters whereas in Iran the average is 250 cubic millimeters. As for the rate of water evaporation, NASA stated that Iran has a rate of surface water evaporation four times greater than the world average. 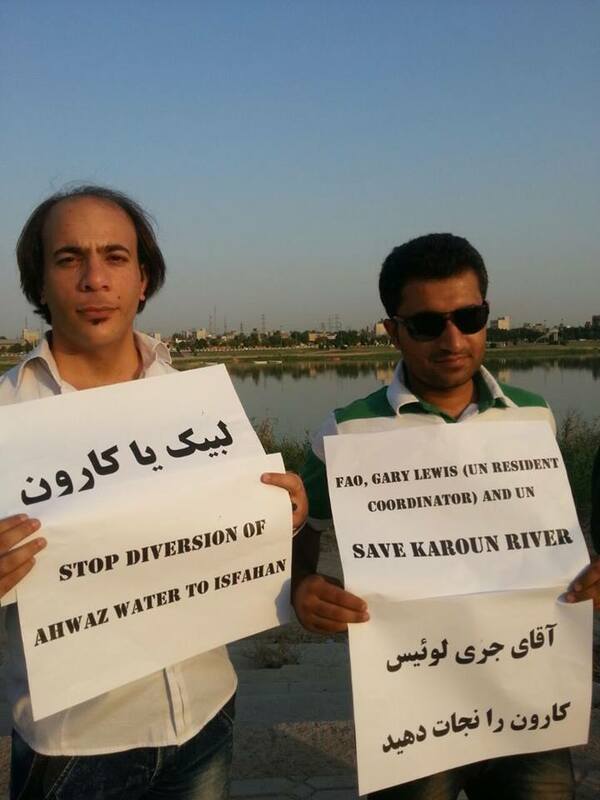 This comes at a time when the Iranian regime supported by Persian groups in the provinces of Isfahan, Kerman (Rafsanjani’s hometown) and Yazd (Khatami and Ahmadi Najad and Rouhani’s hometown) also supported by the Wilayat al Faqih Supreme Leader of Iran’s institutions have stolen the waters of the longest rivers in AL Ahwaz region namely the rivers Karoon and Al Karkheh by diverting their waters from Al-Ahwaz to the Persian provinces of Fars, Isfahan and Kerman thus drying the largest wetlands in the Middle East and completely annihilating 95% of Ahwazi marshlands between Al-Ahwaz and Iraq and thus transforming Al-Ahwaz into the number one polluted region in the world. The stealing of the waters of Ahwaz and the drying of its marshes has led to a drastic increase in temperatures in Al-Ahwaz where according to official sources a record high of 67 degrees Celsius was registered just a few months ago in the city of Mahshor just 80KM from Ahwaz city. This is a grave alarming indicator for the Arab population of Al-Ahwaz for it signals the beginning of a mass exodus of Arab Ahwazis from their land towards the Persian Farsi provinces where the water of Al-Ahwaz has been diverted and where the Arabs of Al-Ahwaz will gradually lose their identity and Ahwaz itself will be depopulated. In addition, oil exploration activities in the last ten years in Hor Al-Azim wetland in Al-Ahwaz has transformed it into a complete desert. Hor Al-Azim is one of the most important wetlands in the Middle East and among few the surviving wetlands of Mesopotamia. However with the starting of drilling, oil prospecting projects, construction of oil facilities as well as building roads at the heart of the wetland which separated it into several disconnected areas, the wetland has been entirely dried up. Hor Al-Azim wetland was a paradise that was taken away from Ahwazis.The Ahwazi Arabs for thousands of years used to depend on the wetland resources including fishing and farming to make their livelihood, but the oil companies in less than ten years have turned it into a big desert. The oil companies are deliberately draining all the wetland and do not pay the slightest attention to the life of the wetland and its Ahwazi Arab people. All authorities and directors who are working in the fields of the oil companies are Persians; for this reason, it does not matter to them at all what happens to the Ahwazi local people. Ahwazi people say that at first they thought that the oil companies that came here would bring great benefits to the area, and that they would see improvements and their villages and towns would be developed. We thought tourism would be encouraged and tourists would come from everywhere, but what resulted was the opposite of our expectations, and the Iranian oil companies destroyed all nature barbarically. People of Baluchistan also have not survived from the water crisis following the drying up of Hamun Lake. Hundreds of the local people had to leave the homeland to save their lives from the drought, dust storms, and epidemic disease that allegedly claimed the lives of many Baluchis. The Iranian regime had not taken any tangible measures to revive Hamun Lake in Sistan-Baluchestan. As a result, Hamun Lake dried up, leading to the death of fauna and flora in the area of Sistan-Baluchistan. Iran suffers grave water shortage, very extreme that nearly throughout the country could be unlivable and millions driven to emigrate. The regime officials say, “Our central problem is [the water crisis] that endangers the national security as it is the issue of living in Iran. Water experts say if Iran doesn’t thoroughly change its water usage policy, 50 million people – 70 percent of Iranians – will have no option than to abandon the country. 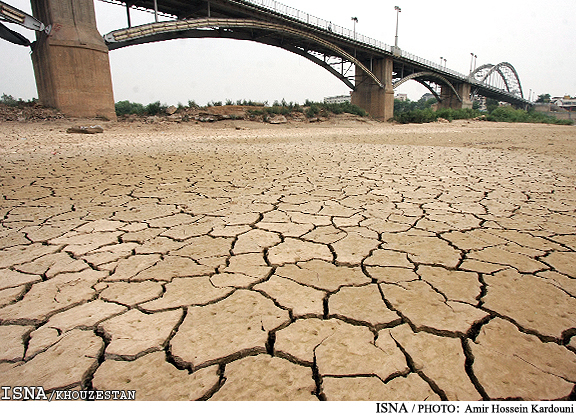 Iran is facing a water shortage of significant proportions; however, so invisible steps were being taken by the regime to address the factors that have diminished the country’s water supply to emergency levels. 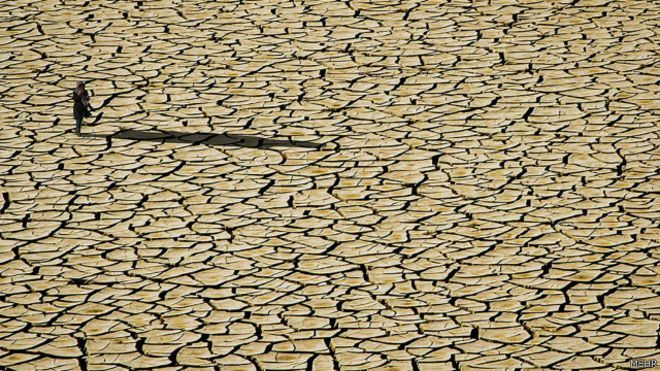 Experts several times cautioned that the current water shortage is going to put the already arid country on the verge of becoming a huge barren desert. As regime fears more likely a popular unrest sweeping the country it has been attempting not to amplify the crisis and hide it. 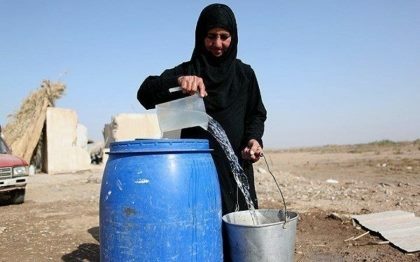 In many areas in the country such as Ahwazi Arab areas and Sistan and Baluchistan province, areas have remained on water tankers for their daily water supply. This increasing water crisis in recent years have triggered protests in Ahwaz, and other provinces in Iran as people shown their displeasure at the worsening condition clashed with police security forces who aimed at dispersing the angry protesters. 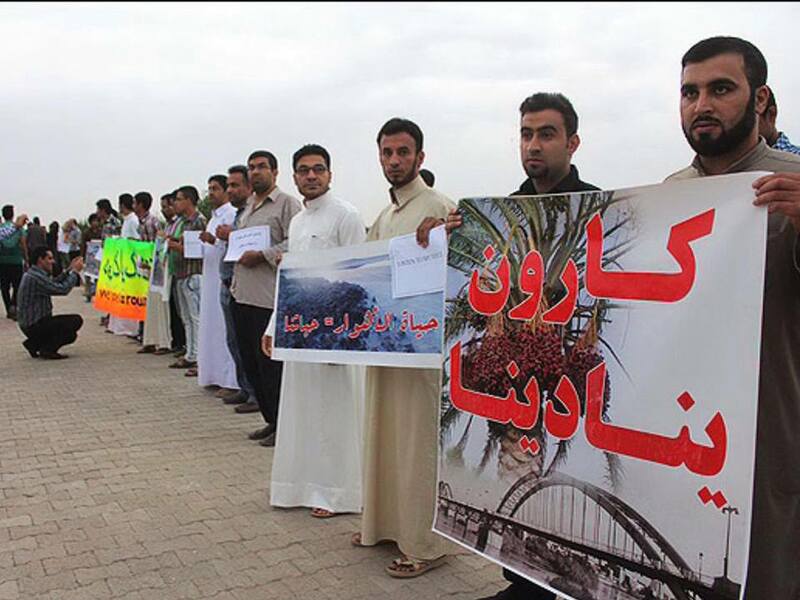 No doubt if the water crisis continues to persist it could lead to popular water riot as already happened in Ahwaz, when Ahwazi people protested against the regime policies in rerouting the courses of Karoon River that resulted in it to be nearly dried up. Ahwazis suffer grave environmental challenges, including pollution, erosion, desertification, and most importantly, drought and water shortages, which have intensified poverty and starvation by decreasing agricultural crop and Ahwazi farmers’ incomes. Many of these difficulties have been provoked by the intentional regime policies in line with displacing Ahwazis. As Iranian desertification accelerates due primarily to regime policies, regime officials continue to ignore the imminent natural catastrophe which endangers the entire country. The water crisis in Iran could end up causing a civil war which will backfire against the regime. This is a much greater challenge than the nuclear weapons issue. All regions of Iran will be affected as the water crisis gets worse and the already poor economic situation of the country will deteriorate. Economic sanctions can be lifted, but water scarcity will remain. This will also cause people to emigrate from Iran. Iran’s Ministry of Education has distributed a new, deeply racist textbook for children in the Arab Ahwaz region depicting Arabs as savage, uncivilised idiots. According to credible sources in Ahwaz, the latest textbook (cover shown at left) depicts various derogatory images of Arabs, with the cover showing an image of an Arab man on camel, wearing traditional dress in the desert, certainly intended as a racist caricature. Such crude anti-Arab bigotry and offensive stereotypes are standard in Iranian media and culture. All such depictions, as well as anti-Arab video games, poetry and other cultural artefacts, are closely monitored and approved by the theocratic regime, which actively encourages anti-Arab racism. The two pictures show how an Arab man wearing traditional clothes inappropriately, suggesting that Arabs are stupid and uncivilised, like the stereotype carried in the popular Persian whenever Arabs are shown. Another textbook shows an Arabic man, again riding a camel in a desert with a dirty face, piglike nose and bare feet, eating something with his finger and only dreaming of arriving at a lush garden and a beautiful waterfall. 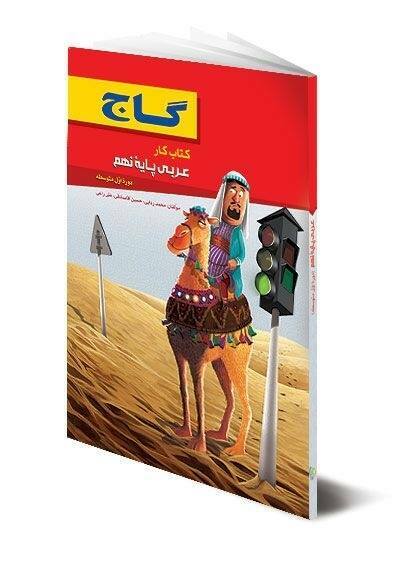 Ahwazi activists have condemned this latest expression of anti-Arab sentiment, particularly in the guise of an educational book for Arab children, adding that this is part of a systemic supremacist culture of hatred towards Arabs and all things related to Arab identity rooted in resentment amongst many Iranians dating back to the fall of the Persian Empire at the hands of Muslims and Arabs. This resentment has been actively promoted and encouraged by successive Iranian rulers, up to and including the current regime, as a way of justifying their own brutal persecution of Ahwazi and other Arab peoples. 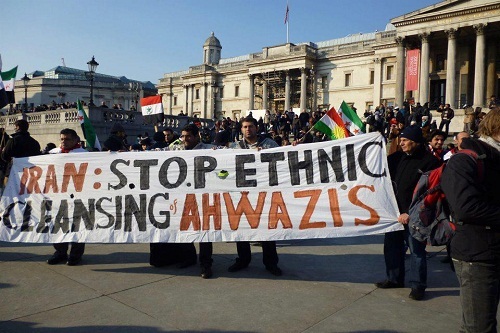 The Ahwazi activists warned against the perpetuation of such racist policies against both Ahwazi Arabs and other non-Persian minorities in Iran, adding that it could lead to a backlash against not only the regime itself but against Persian peoples generally. This latest incident of regime-sanctioned racism follows recent widespread regional anger over Iranian state TV broadcasts of racist slurs against the Turkmen people of Southern Azerbaijan, which led to large demonstrations in Azerbaijan and elsewhere. The racism against Ahwazis runs rampant; we can feel that the anti-Arab sentiments tainted by a deep-rooted fascism are not confined to ordinary Persian citizens, but include a considerable portion of the Persian elite that is directly fueled by state politics. These racist textbooks are seemingly encouraged by the nonexistence of a law that penalizes such pernicious acts in a country. Akbar Abdi, a well-known comedian, has lately engaged in more of this racist chauvinism during a live program on state television. He mentioned a trip with his family to Mecca in which he reacted to an Arab man who requested to get his son engaged to his daughter by saying: If I equaled my daughter with Gold, I would not equal Arabs, you or your son with Persian rubbish.” He described the Arab man with ugly and dirty epithets. This was not the first time and will not be the last, when the state-sanctioned stream of bigotry against Arabs and Ahwazis is broadcast nationwide. Television programme and state-owned newspapers for years have been offending and attacking Arabs as Ahwazis are bearing the brunt. What actually motivates racism among Persians against Arabs in general and Ahwazi Arabs in particular along with Kurds, Turks and Baluchis is the misplaced belief instilled into Persians minds that they come from the special superior Aryan race while the rest of other ethnic groups have some inferior racial traits that result in that group being detestable. 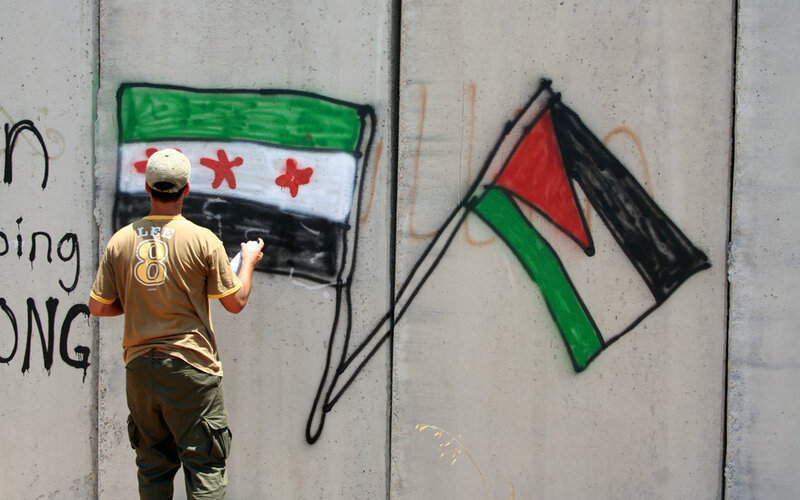 Declarations of Solidarity to the Syrian Revolution: a summarised analysis. 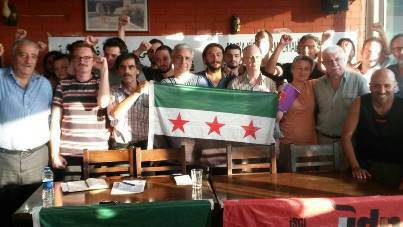 Since the beginning of the revolution, the civil society, in Syria and in the world, has expressed its solidarity or condemnation by means of declarations that were then signed by organisations and individuals, often prominent ones. These declarations are intended to be distributed with the purposed of informing the public about positions regarding principles but also on the policies that are desired but not yet in force. Most of these statements are concentrated in particular periods. Many of them were issued on anniversaries such as 21 August, the anniversary of the massacre of Ghouta. Others were issued after what is perceived as an emergency such as recent arrivals in Europe with the Balkan route. These declarations fall into different genres and are used for various purposes: short-term and immediate policy declarations, statements of terms to enter a phase of transition and political solution, declarations of long-term policies and recommendations for entities like states, international bodies or political groups. In statements that express reference to immediate policies, the most frequent requests are for the free passage of humanitarian aid without the authorisation of the regime, which blocks the arrival of aid in areas not under their control, forcing activists and charities to tackle many risks to bring these relief goods, medicines, clothes and products for infants in the first place, to areas where there is need, and denying them any type of protection. The protection of civilians is articulated in particular with requests for humanitarian corridors but especially with the request for the establishment of a No Fly Zone. The request for a No Fly Zone which started already in 2012 by civil society in Syria, initially was only for parts of Syria under the constant bombardment of the regime, but last year this request has been extended (particularly from groups belonging to the left) to all parts of Syria, which is now also under aerial bombardment by the Coalition and more recently, Russia. In one of the statements, by Rethink, Rebuild Society, the request is extended to the British government to support the coalition in the American bombing of ISIS and to extend it to Iraq after the population has been moved to safe places. The other request of an immediate nature is often directed to foreign countries, and has to do with the policy of management of refugees and expansion of Operation Triton for rescue in the Mediterranean. Among the declarations of a more immediate nature is the Manifesto for Syria, written by Syria Solidarity Movement and inspired by the demands of Planet Syria and The Syria Campaign (which includes The White Helmets), grouping more than 150 different groups in Syria and in the diaspora. It is divided into two different proposals, supported by an international campaign of petitions with the titles, “A No Fly Zone for Syria” and “Syrian Refugees Welcome Here”. 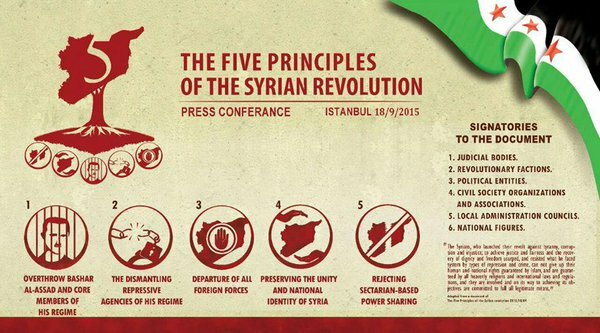 Among the statements that express a principled stand for the transition, those standing out are from Syria, in particular the document of the National Coalition for Revolutionary and Opposition Forces in April of 2013 and the Declaration of the Syrian Islamic Council issued a few days ago and called The Five Principles of the Revolution. Both documents (which in fact mirror every single declaration regarding the transition) pose as a principle priority the end of the Assad regime as a prerequisite for any political solution or international initiative. They also exclude the participation of close associates of Assad in the transitional phase and exclude them as part of the solution for Syria. However, the fight is not against the state but against the regime and therefore the structures and state institutions must be preserved and re-organised for the purpose of protecting the state and the people who worked for the State but who are not corrupt or guilty of crimes. The Coalition also includes in military and security personnel the people to protect. The document of the Syrian Islamic Council, signed by 74 revolutionary formations and 52 high personalities indicates the other four principles: The dismantling of the security agencies affiliated with the regime; that all foreign forces must leave Syria; the preservation of the unity, territorial integrity and national identity; the refusal to share power based on sectarian criteria. The Syrian Islamic Council, founded in 2013, consists of 128 delegates, 50 of which in the liberated areas, represents 40 leagues and religious committees that have grown especially in the Diaspora since 2011. It does not include the Islamic Front but consolidates a moderate Islamist axis inside the opposition. The Council has issued a fatwa against Isis in 2014 but also a Fatwa this June, which forbids enlistment in YPG or PKK, who are seen as sectarian forces. The rejection of sectarianism is a dominant feature of all the statements, and is part of the “Core Values”, in particular the statements offering long-term policies insist that the core values should be integrated in any transition framework or constituent phase. The values ​​are those for which the revolution began in the first place: the desires of equality, rights, representation, freedom of expression, assembly, affiliation, religion, rights for minorities and women and just distribution of the wealth of the state. A core value of all the statements is territorial integrity and rejection of divisions along ethnic or sectarian lines. The Syrians have always lived as one people and the division would cause great instability. A declaration of principles that is perhaps the most representative of the aspirations of the Syrian people is The Freedom Charter by the Foundation to Restore Equality and Education in Syria (FREE-Syria), a humanitarian organisation of civil society development founded by people involved with the LCC (Local Coordination Committees). The Freedom Charter, inspired by the South African Freedom Charter, a document of national unity, was based on tens of thousands of face-to-face interviews carried out by a team of more than one hundred activists coordinated by FREE-Syria and the LCC with Syrians in each governate of the country, asking what kind of society they desired to live in. The Charter however reflected the values ​​of the revolution, for a state based on equality, justice and freedom. Aspirations are included in a State based on the rule of law, in which leaders are elected by the people. An independent, sovereign state, within the current UN-recognised borders and that follows and obeys international conventions and treaties. That the assets of the country belong to all of Syria and the Syrian armed forces serve only to protect the borders of the nation and defend its sovereignty without interfering in political, economic or social issues. That courts are independent and not subject to the authority of other government agencies or the pressure of special interest groups. Education shall be free, compulsory and available to all. It is followed by a section that lists the rights, the principles of equality and respect for all cultures and ethnic groups in Syria. The Freedom Charter represents the aspirations of the Syrians, but does not suggest how to achieve these results. Similar to it, but with more concrete proposals is the document called Policy Proposals for the UK, a lengthy document issued by Rethink Rebuild Society, signed by Syria Solidarity Movement, Scotland For Syria, Kurds House, Syrian Association of Yorkshire and Syrian Revolution Committee in Newcastle. It is based on the Core Values of almost all the documents cited so far, but also includes policy suggestions for the United Kingdom in order to help overcome the current situation and rebuild Syria’s future. In its twenty pages, beginning with a brief introduction to the situation and its history, it contains seven wide spectrum proposals and suggestions of policies and strategies for the government to use to implement the proposals. The basis of the Rethink Rebuild document is for the protection of civilians both inside Syria and in exile. The first step is the establishment of a No Fly Zone over all of Syria followed by British intervention against ISIS extending also to Iraq. It demands a unified and democratic Syria without Assad. Indeed, the second point mentions the strengthening of Syrian National Coalition (whose document I mentioned earlier) and the Free Syrian Army to facilitate a transition to a post-war Syria. It demands the British government to actively support the emergence of a unitary and democratic Syria which adheres to internationally-recognised human rights standards. As the transition period is expected to be long and very difficult, it asks the British government to support the principles and encourage the incorporation of these ideals in any transitional or constituent phase. The values ​​to be supported are the same as all the documents cited so far and in the Freedom Charter. The third point asks a guideline for humanitarian aid, both for its collection and its distribution and with the insistence that Britain calls for full implementation of UN resolutions 2165 and 2191 authorising the distribution of humanitarian aid anywhere in Syria, across borders and without the consent or authorisation of the regime. The last points are more specific to European relations with individual Syrians. Topics include support for refugees and rehabilitation and education of Foreign Fighters and people that have extremist views, but who have not committed crimes. The sixth point is the ability to maintain banking services to Syrian individuals and entities and the last point asks for appropriate treatment to be given to Syrians that are residents in the United Kingdom, equivalent to that of other residents. There are two earlier declarations to be considered as important references, and they are the Declaration of Dignity issued in December of 2011 by the LCC and the Declaration signed in Geneva in May of 2012 by the Committee for the Defence of Human Rights in Syria, the World Campaign in Support of the Syrian People and the Syrian National Council. The first announces the values of the revolution, the rights of the people and the rejection of sectarianism and commitment to upholding human dignity. The second is based on defining the Syrian struggle along the lines of the Preamble of the UN Declaration of Human Rights adopted by the General Assembly in 1948. It is an appeal for a pacific transition in Syria, an immediate end of the violence and repression against civilians, release of political prisoners and reform of the mass media to allow free press. Its crucial point is that the UN Declaration supports the recourse to rebellion against tyranny and oppression and the protection of human rights by rule of law. It calls for a constitutional assembly to be appointed to draft a new constitution that limits the functions of the president, restoring Syria to the people and not allowing it to belong to a single individual, family or party. It requests the recognition of the revolution as legitimate, legal and worthy of support. The last document that I include in this overview is The Istanbul Declaration, signed this summer by many activists and members of civil society, including some prominent historical Syrian left. It begins with an introduction that identifies the suffering of the people. It declares that Assad oppresses the people strictly to stay in power to protect his interests. Then it talks about the determination of the people in its long and difficult resistance, even moral. It speaks of the institutions that civil society has created, such as the LCCs, but in particular, it cites with admiration the steadfastness of a people who despite everything continue to protest and to do everything possible to communicate their situation through an intense activity in social media. The declaration continues with a description of all the enemies of the people, the atrocities committed by the reactionary forces and religious extremists and includes a denunciation of the occupation of Syria by foreign forces, naming in particular the massive presence of Iran in support of reactionary forces and the regime. The statement is divided into seven points. The first: support of resistance and denunciation of the complicity of the Left with the regime, calling their behaviour betrayal. The second: rejection of the intervention by anyone who is hostile to the revolution. The third: condemnation of fundamentalist forces. The fourth: the belief that there is no political solution that presupposes the existence of the current regime. The fifth: denunciation of the policies of Fortress Europe. The sixth: the connection with any popular struggle and solidarity with all oppressed people and those without justice, particularly in the region, citing, Iraq, Bahrain, Egypt, Tunisia, Libya, Yemen, Palestine and any other country in the world oppressed by dictators and imperialists. The seventh: support to the LCCs, the revolutionary councils and to humanitarian groups in addition to the independent brigades of the FSA fighting against the regime and against ISIS. Any statements that we Italians and Syrians in Italy write and ask to be disseminated and supported should take into account the content of the existing statements. We can integrate many of their points, but also introduce points particularly relevant to our particular Italian circumstances. I hope that in the working groups we identify requests to our government, to Europe and to the general public, to come together in support of this glorious revolution. A call by a senior UAE official on Monday for formal recognition of Al-Ahwaz as an occupied Arab country has sparked a rapidly growing pan-Arab media campaign, with over 1,000 prominent Arab figures across the region so far announcing their support of ‘I recognise Al-Ahwaz as an Arab State’. Despite only being launched a couple of days ago, the campaign is also spreading beyond the Arab world, with the slogan already shared across social media in 16 languages. Launched in the wake of a statement issued by the influential former Dubai police chief Dahi Khalfan calling on Gulf states to open embassies for Al-Ahwaz and to formally recognise the state, which was renamed ‘Khuzestan province’ in 1936 by Iran following its 1925 annexation, the campaign has continued to gain popularity, winning backing from a wide range of influential Arab figures from all backgrounds across the region. Among the leading regional figures who have announced their support of the new campaign are Jerry Maher, the founder and director of ‘Radio Swat Beirut International’ and the distinguished and widely respected Kuwaiti academic and analyst Dr. Abdullah Nafisi. 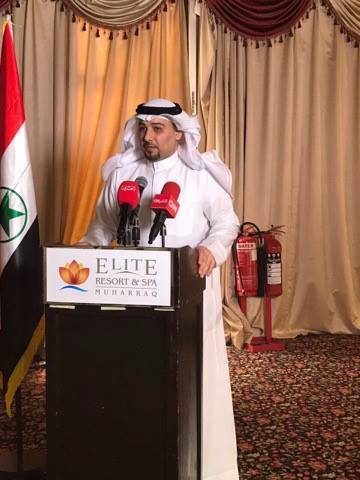 In Egypt, TV show host Hussein Jouli, a moderate and opponent of the Sisi regime, said that he would head an Egyptian campaign for the recognition of Ahwaz as an Arab state. Another leading Kuwaiti figure voicing her support for the campaign was Ayesha Rashid, a liberal writer, journalist and political researcher. Ahwazi activists hope that the new campaign, which has already been featured on media as diverse as Al Jazeera, CNBC Arabic, Sawa Middle East and even Japanese and Korean news channels, will help to raise awareness of the systemic injustices inflicted on the Ahwazi people by Iran for almost a century in near-complete international silence. Since the initial Iranian occupation in 1925, successive administrations in Tehran, both under the current theocratic regime and the previous rulers, have refused to recognise the most basic rights of the ethnically Arab Ahwazi people numbering around 10 million in total, who are denied not only the right to the same healthcare and education as Persian Iranians, but even the right to wear traditional Arab garments, or to publicly speak or learn their native Arabic language, being subjected to what is effectively an apartheid system of rule. Despite occupied Ahwaz, now a region of south and southeast Iran, being the home to around 95% of Iran’s oil and gas reserves, the vast majority of the Ahwazi population live in medieval poverty and squalor, often without running water, electricity or the most basic sanitation, while the massive wealth from their natural resources is spent on other, non-Arab regions by Tehran. 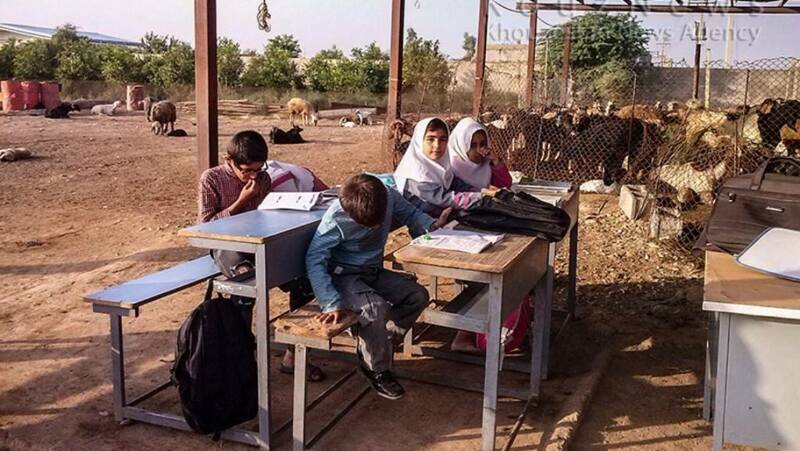 This openly racist policy means that despite being the most resource-rich region of Iran, Ahwaz – or Khuzestan as Iran insists on calling it – is home to one of the poorest populations per capita on earth. Anti-Arab racism is endemic in Iran, having been encouraged by successive regimes, with Ahwazis bearing the brunt of this bigotry, both in formal policies which treat them as second-class citizens, excluded from property ownership and all but the most menial jobs, and denied the most basic rights, as well as through a culture which glorifies racism and casual violence towards Arabs: many of the most celebrated contemporary Iranian poets’ most famous poems are filled with virulently racist anti-Arab imagery and language. This anti-Arab racism extends to all cultural forms, with one fairly typical recent hit by a popular Iranian singer entitled ‘Kill An Arab’ issued shortly after a phone app game, ‘Beat An Arab’ in which the object of the game is to force-feed a grotesque caricature of an Arab before beating him unconscious: both the song and he game were approved for general release by the Iranian Culture Ministry, which routinely approves such offensive items, and neither is viewed by Persian Iranians as being in any way objectionable. Ironically while the theocracy in Tehran is keen to present itself as the champion of Palestinians and arch-foe of Zionist occupation, its own savagely imposed occupation of Ahwazi Arabs’ land is arguably more brutal and its profound anti-Arab bigotry virtually indistinguishable to that of Zionists. The similarities can be quite uncanny, with Persian Iranians offered generous incentives to move to the Ahwaz region where they are housed in specially built settlements provided with all the latest amenities, and given well-paid state oil industry jobs not available to Ahwazis or offered further substantial financial inducements by the Tehran administration to set up businesses in these areas. As with the jobs and loans, these settlements are off-limits to Ahwazis who are routinely ethnically cleansed from their homes and lands whenever these are confiscated by the regime, with no compensation or recourse to legal complaint, and are housed in overcrowded shanty towns often located near the region’s oil refineries, where open sewers and atrocious pollution lead to widespread health problems. There is still no word on the theocratic regime’s reaction to the new ‘I recognise Ahwaz as an Arab State’ media campaign, although the mullahs, who have long refused to recognise Ahwazis’ basic humanity, let alone their right to their own lands and sovereignty are, like Queen Victoria, unlikely to be amused.